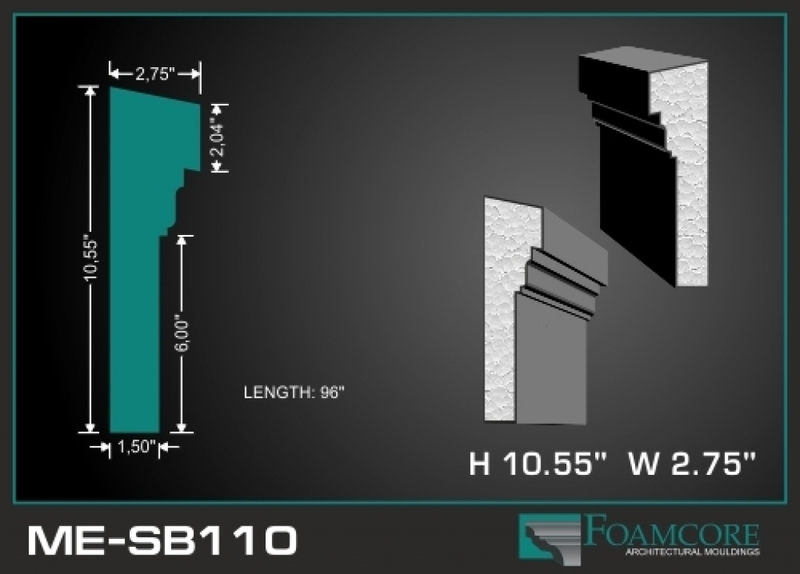 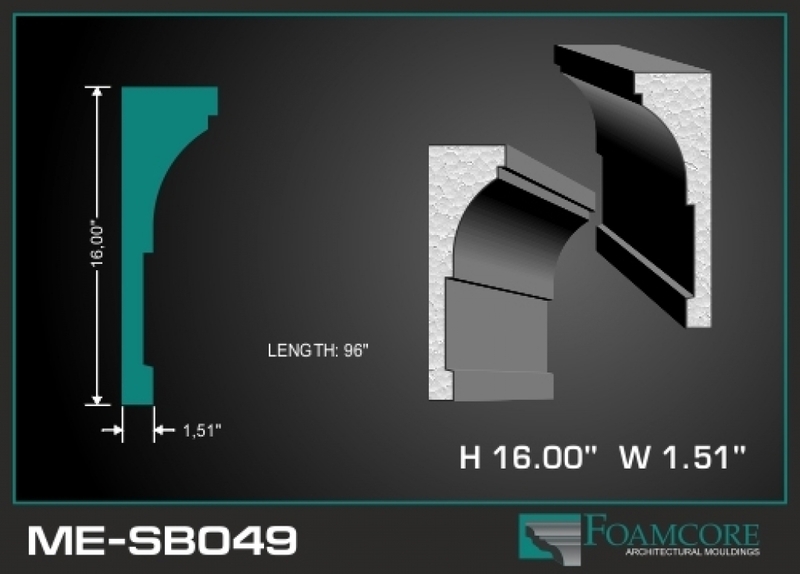 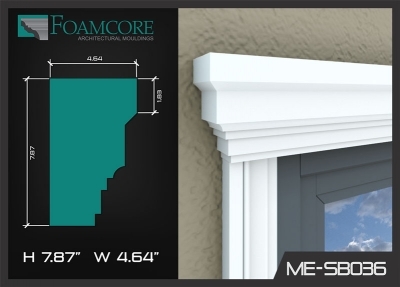 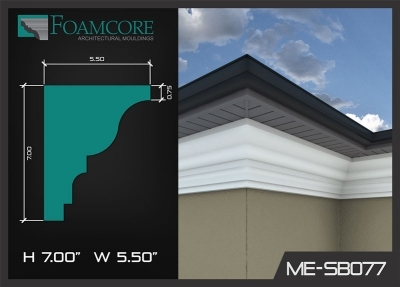 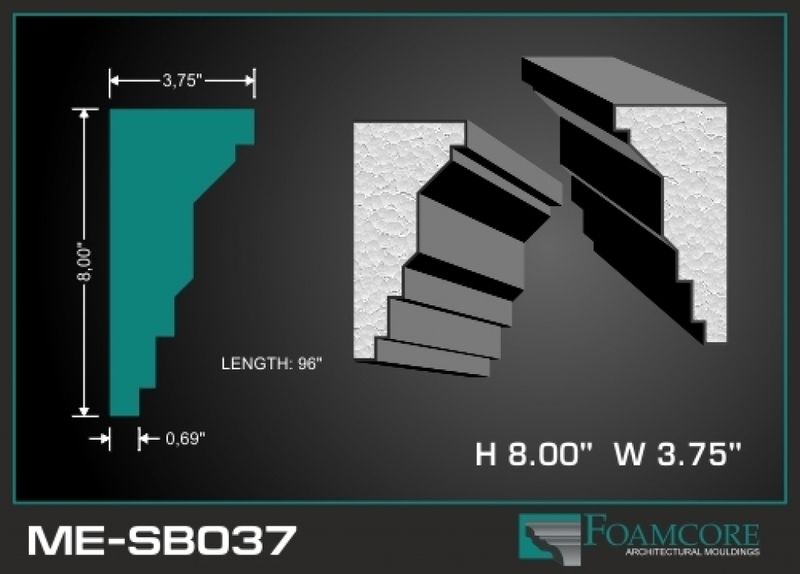 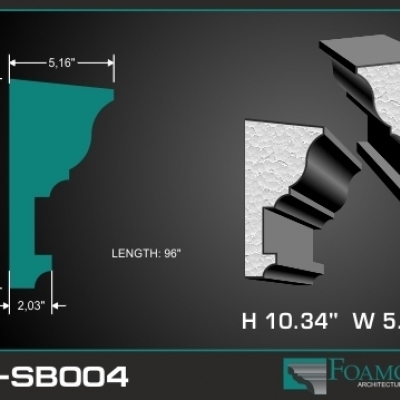 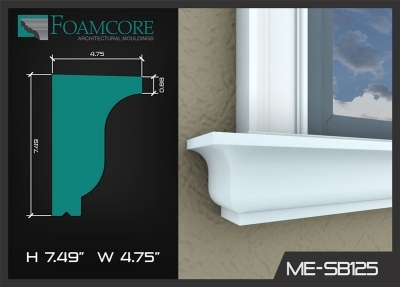 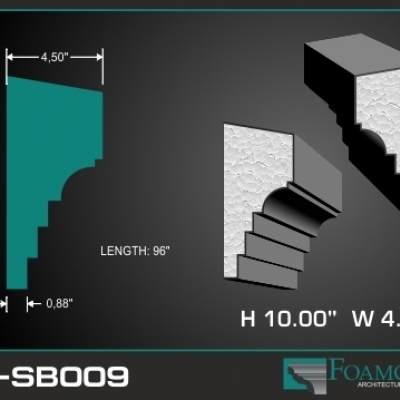 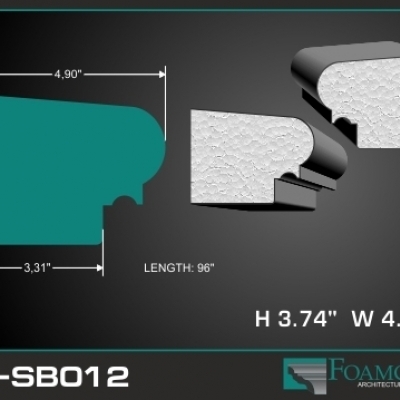 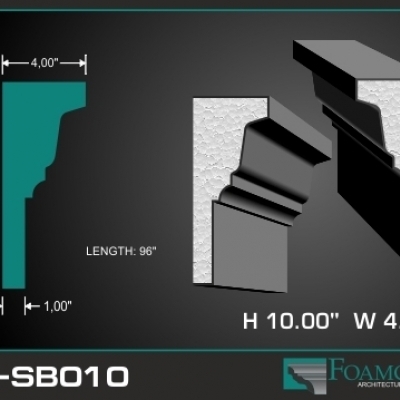 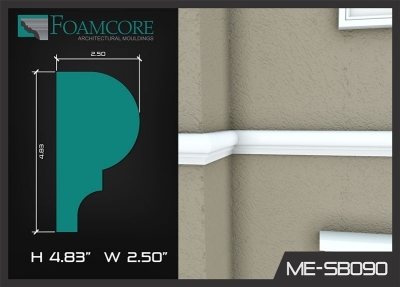 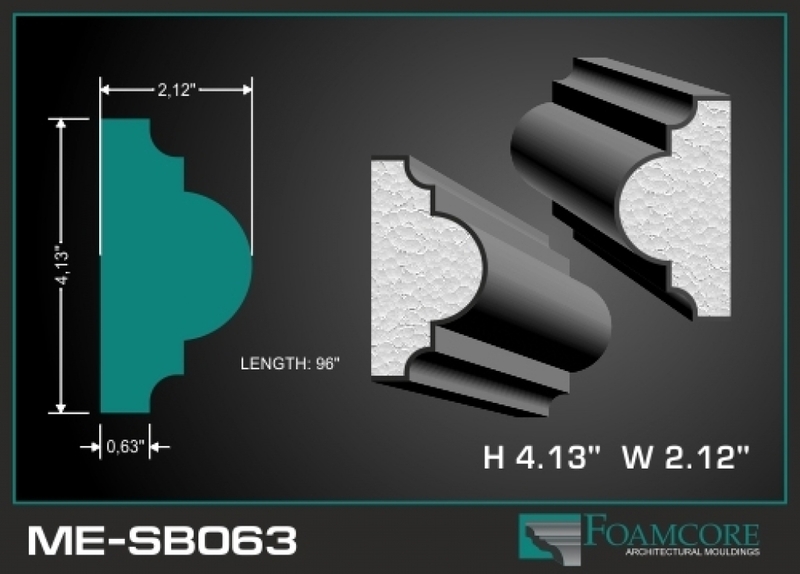 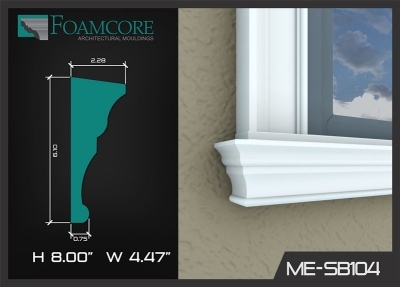 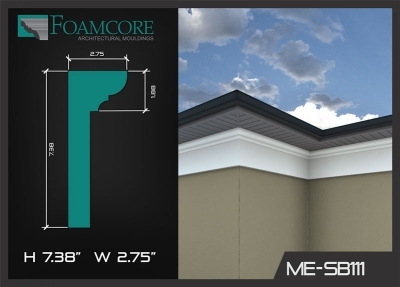 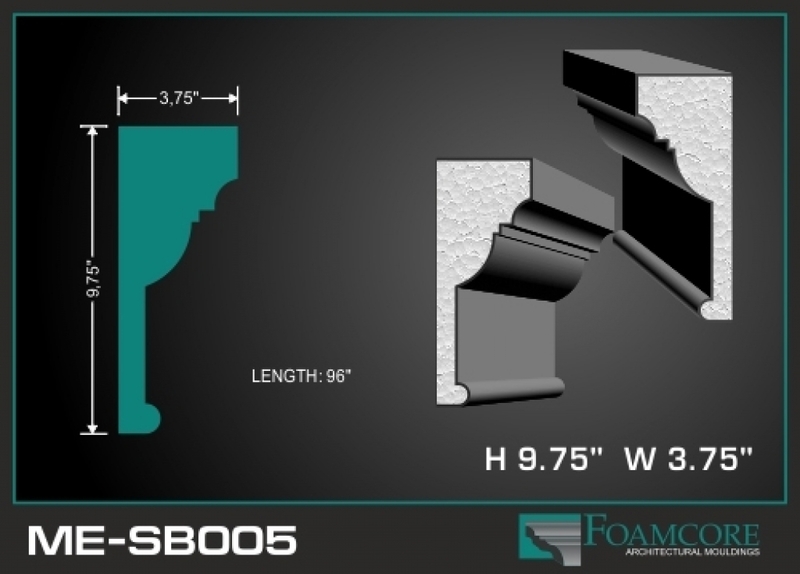 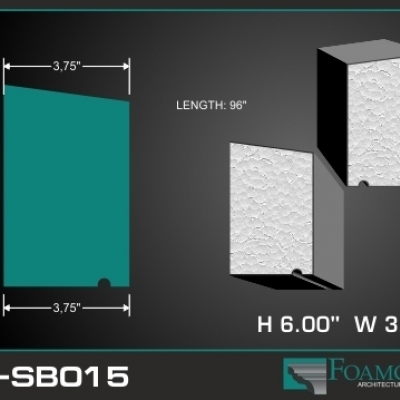 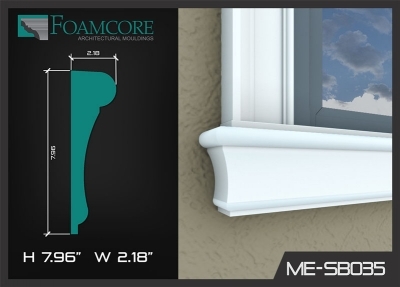 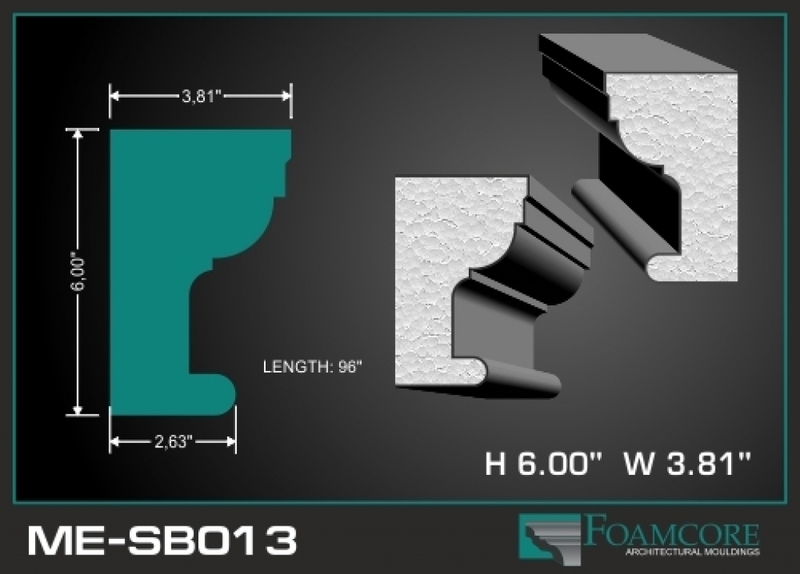 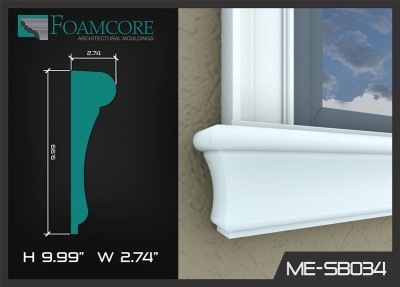 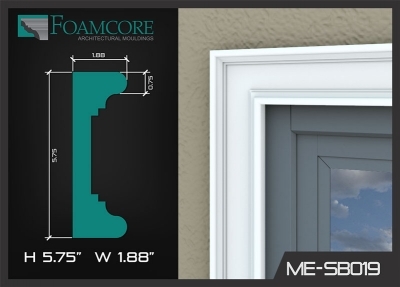 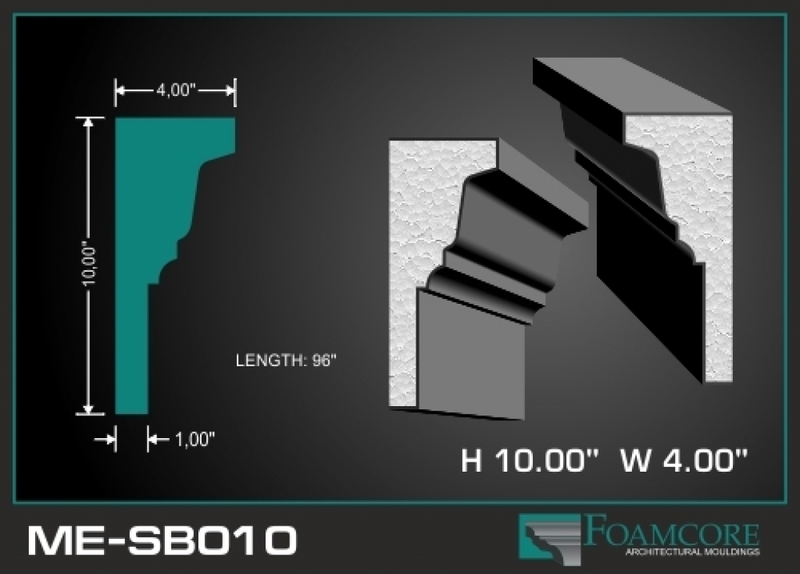 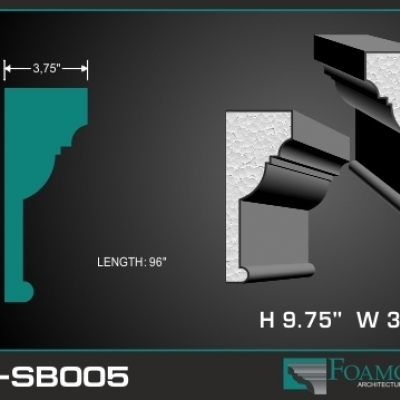 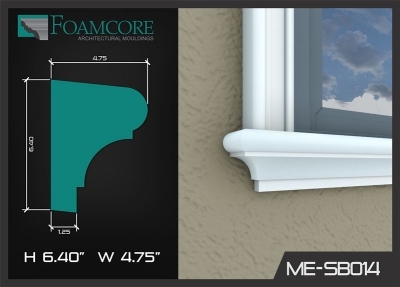 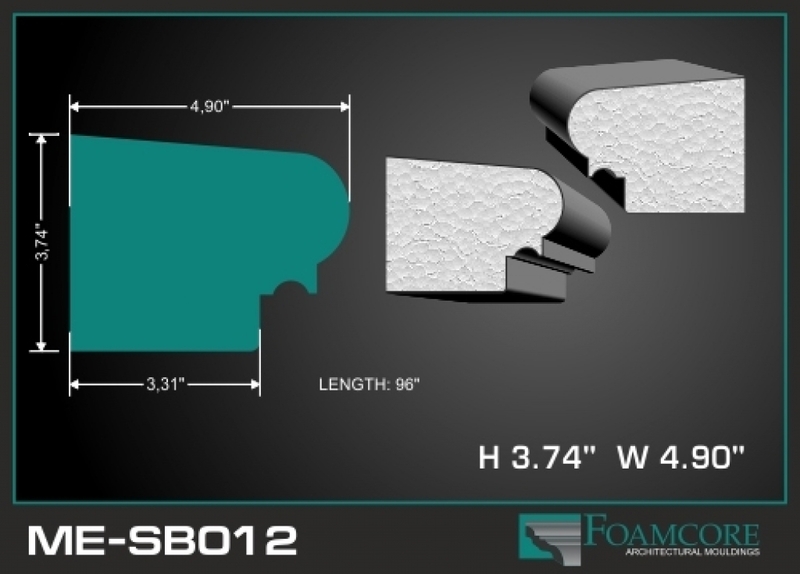 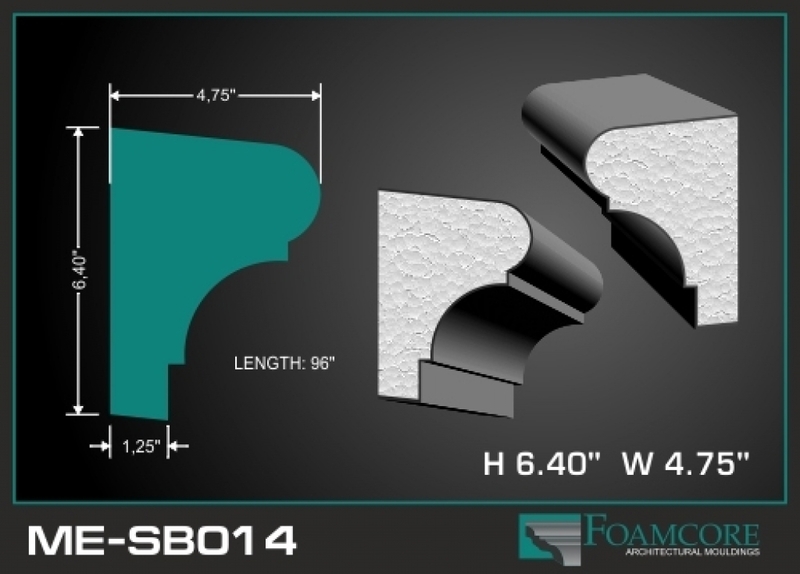 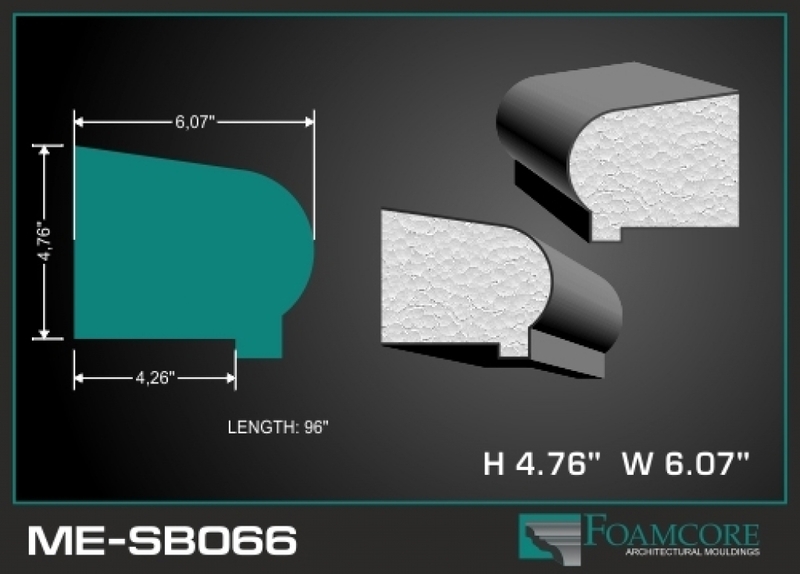 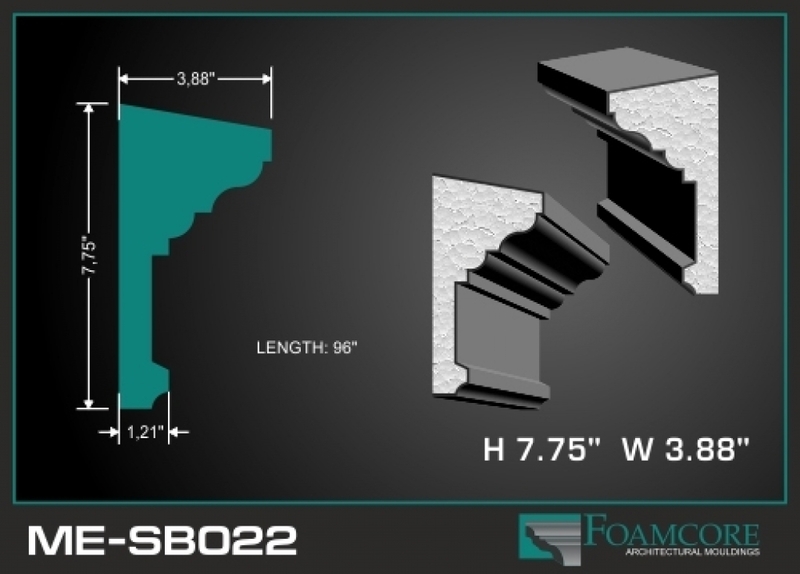 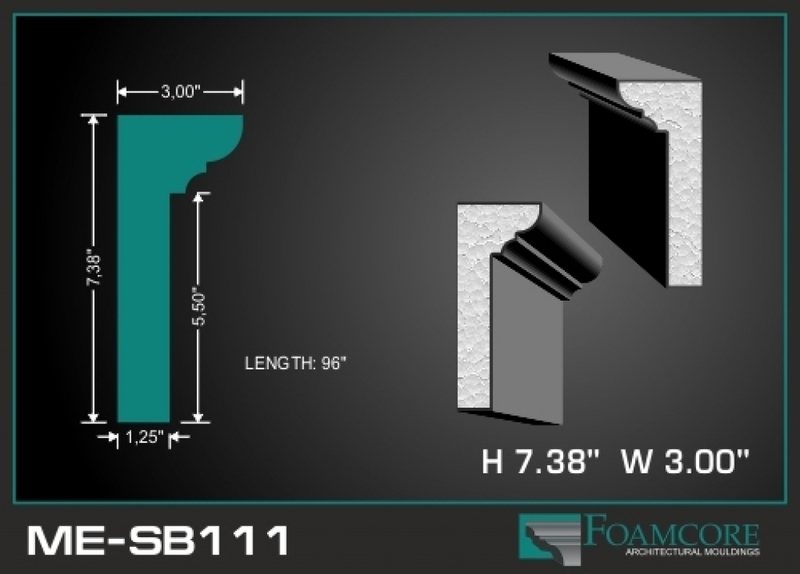 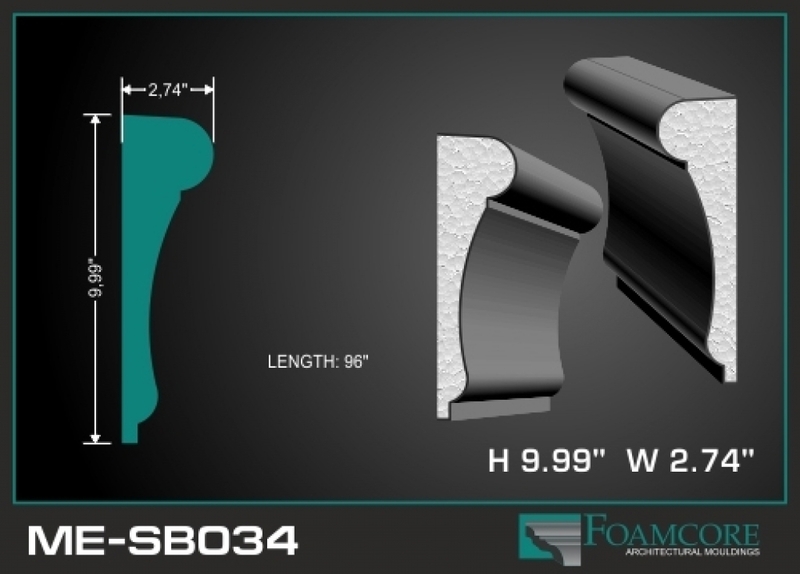 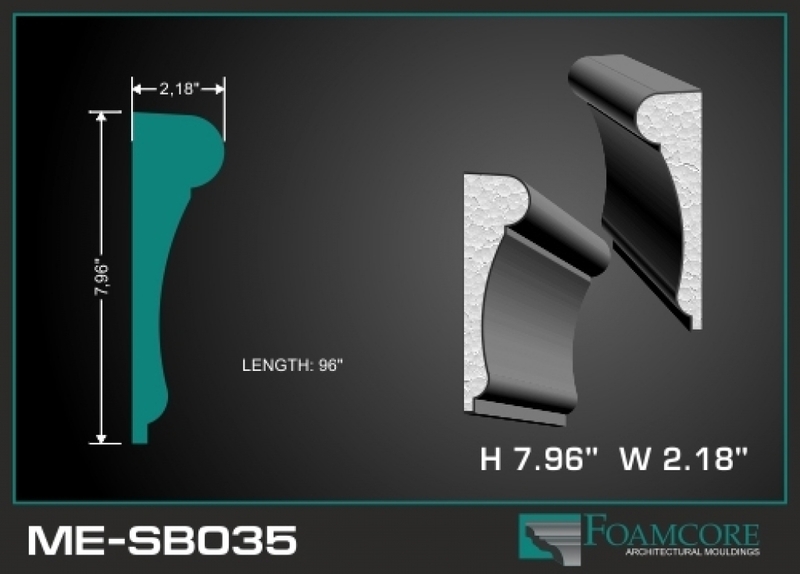 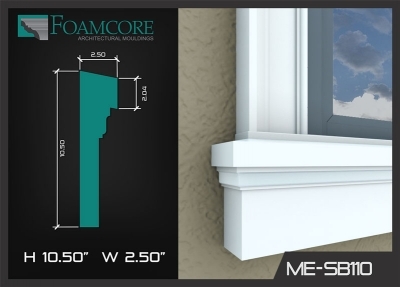 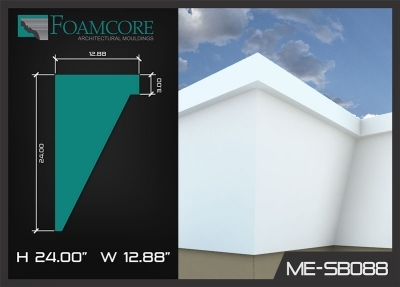 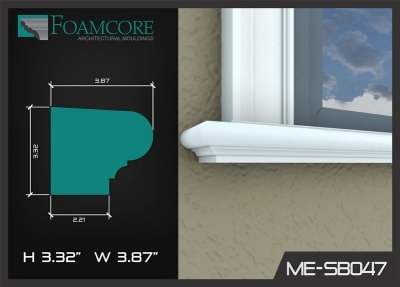 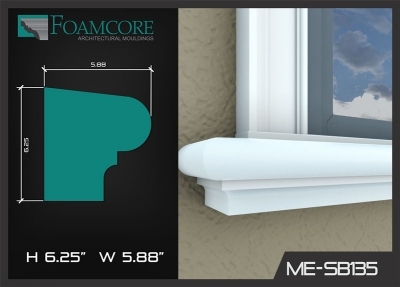 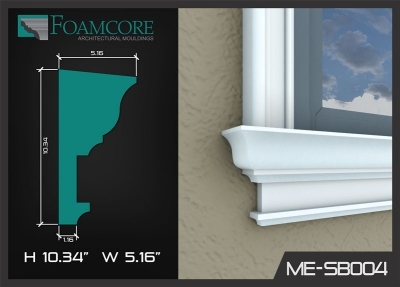 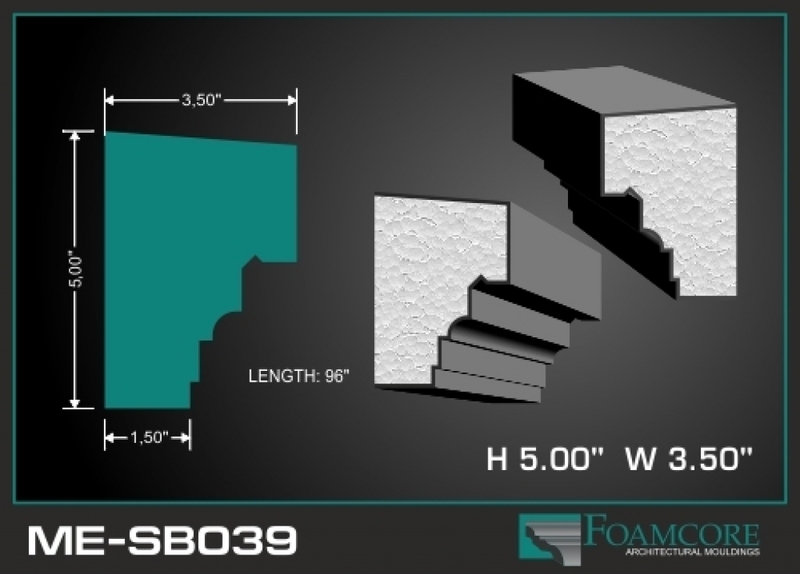 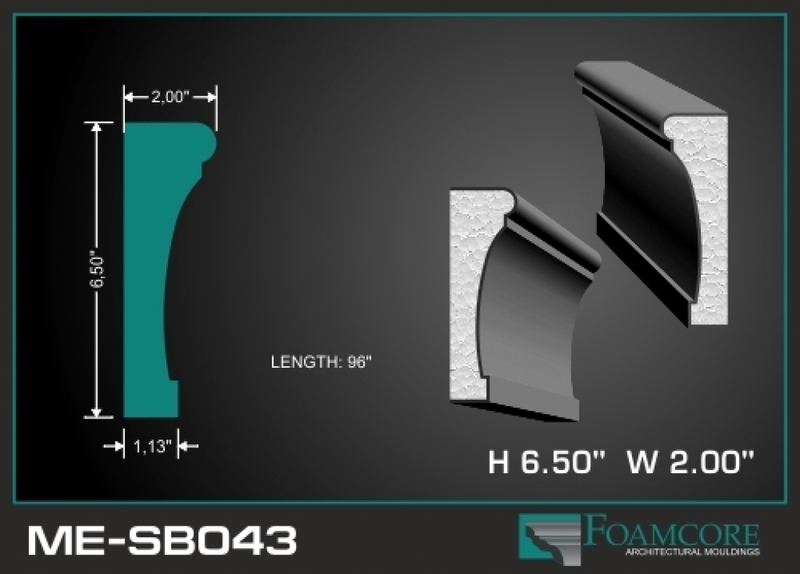 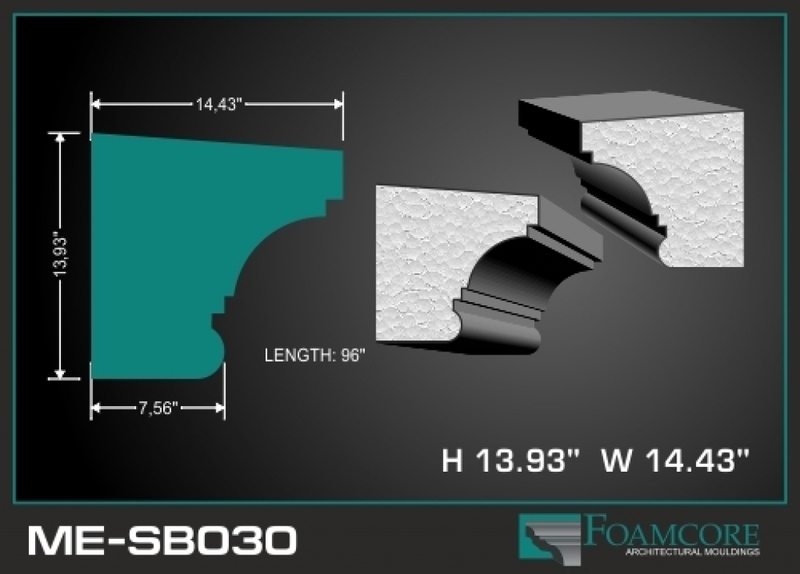 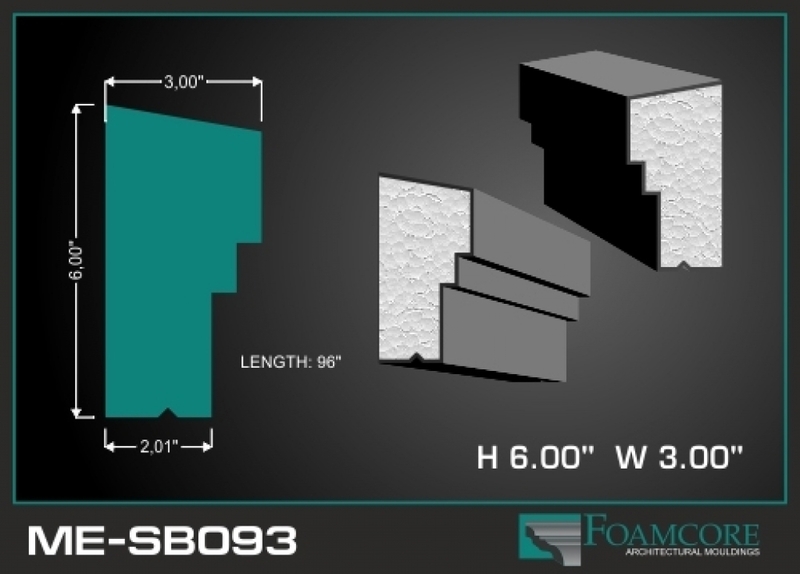 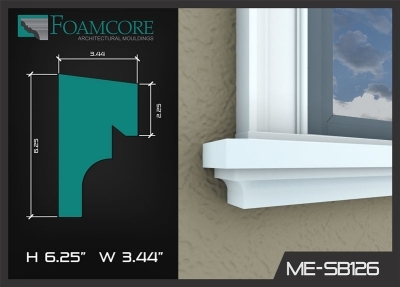 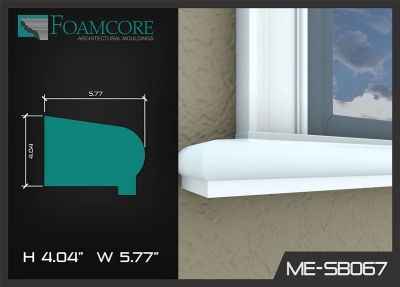 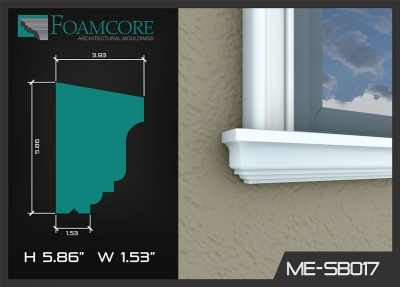 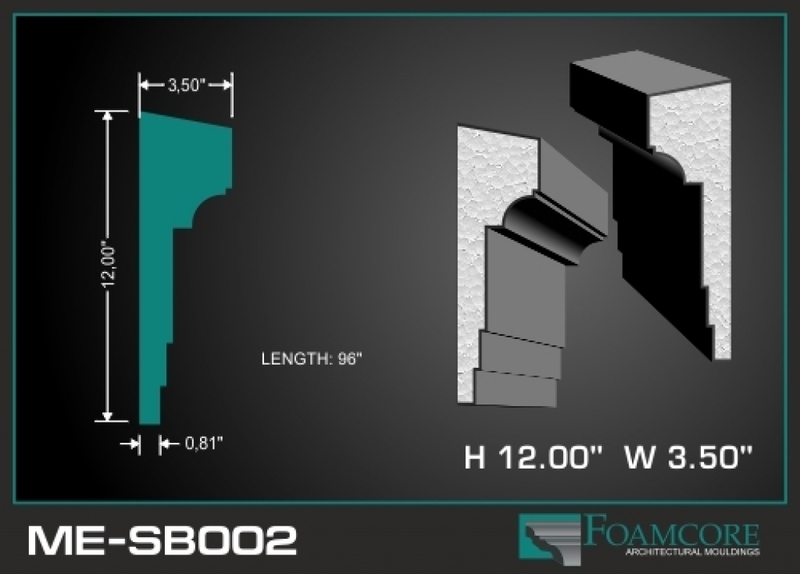 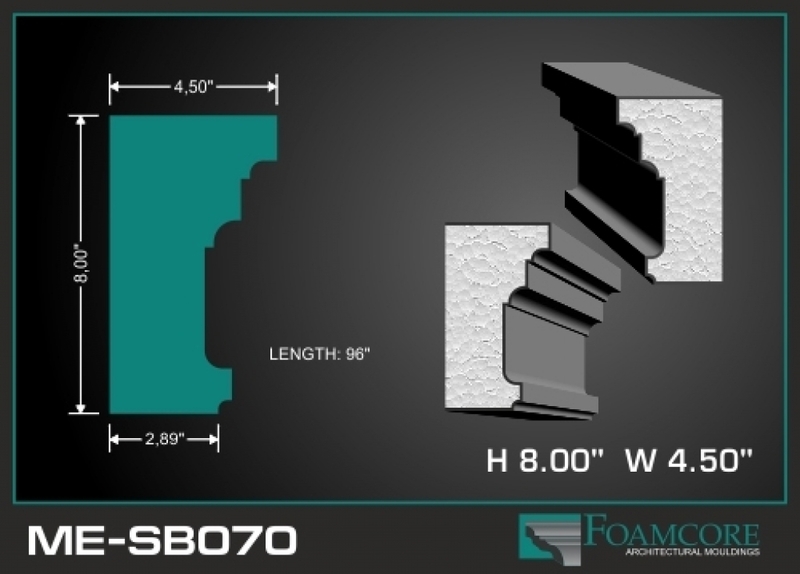 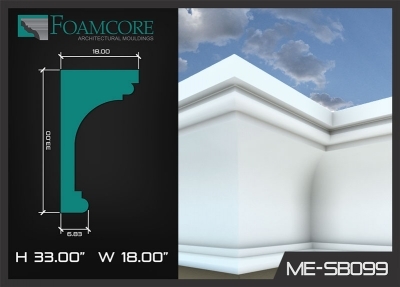 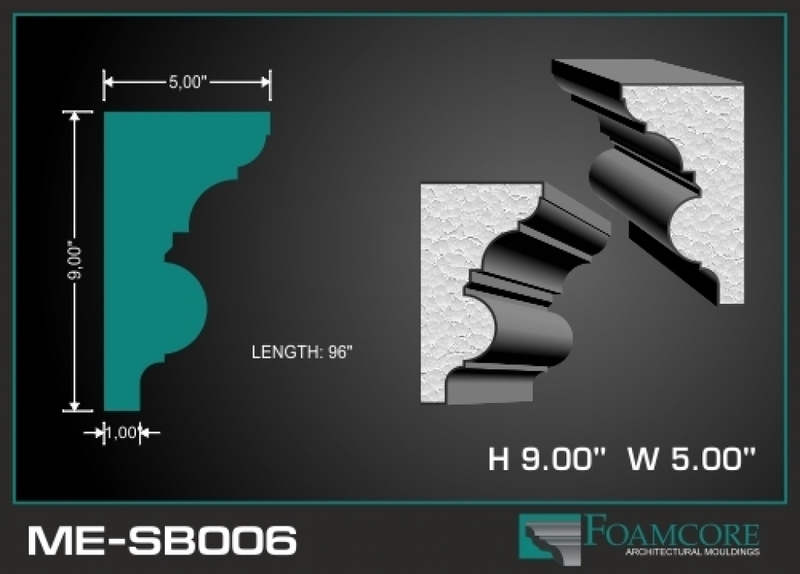 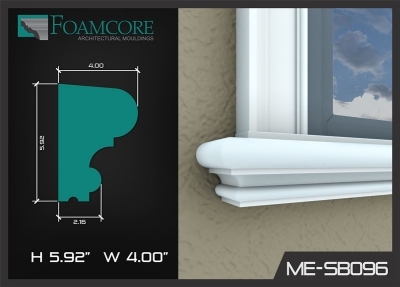 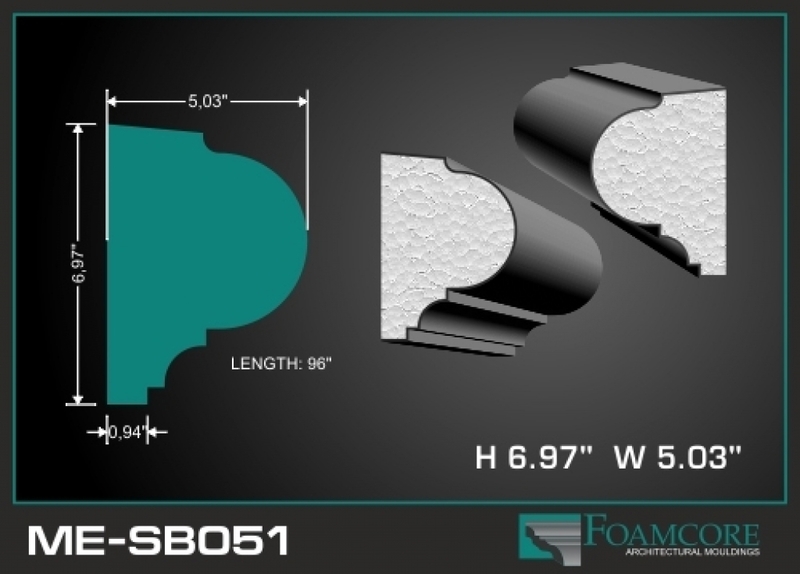 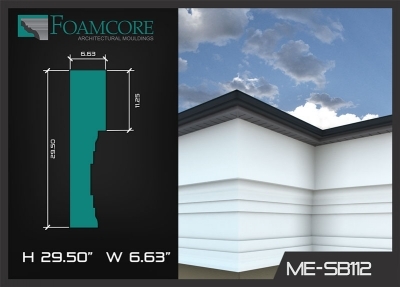 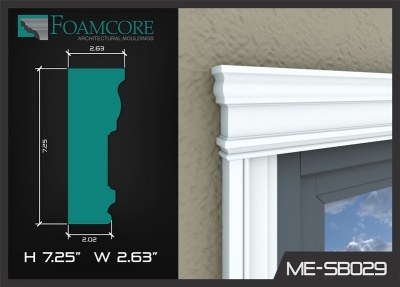 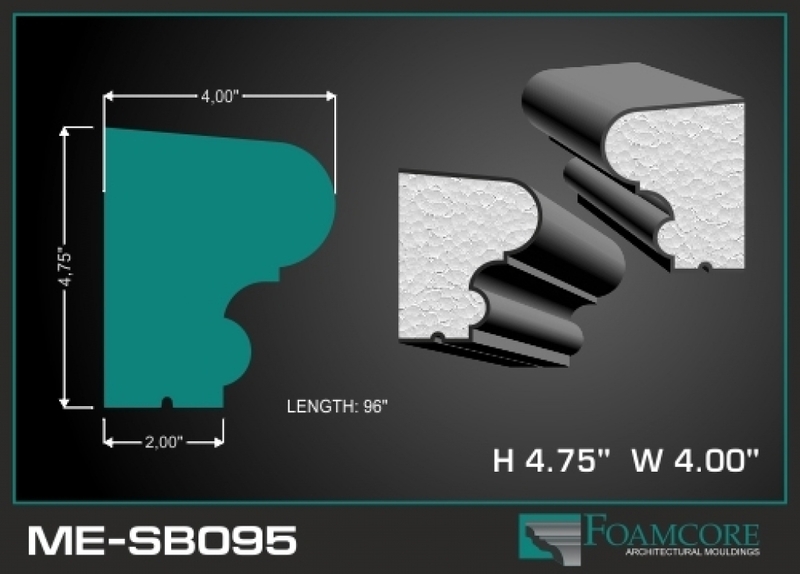 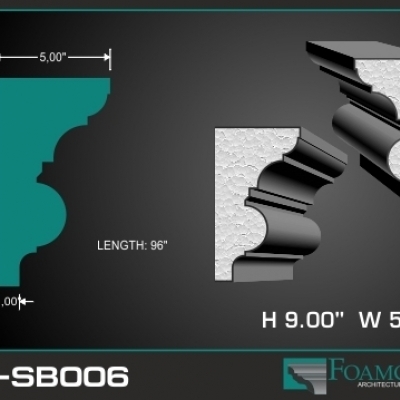 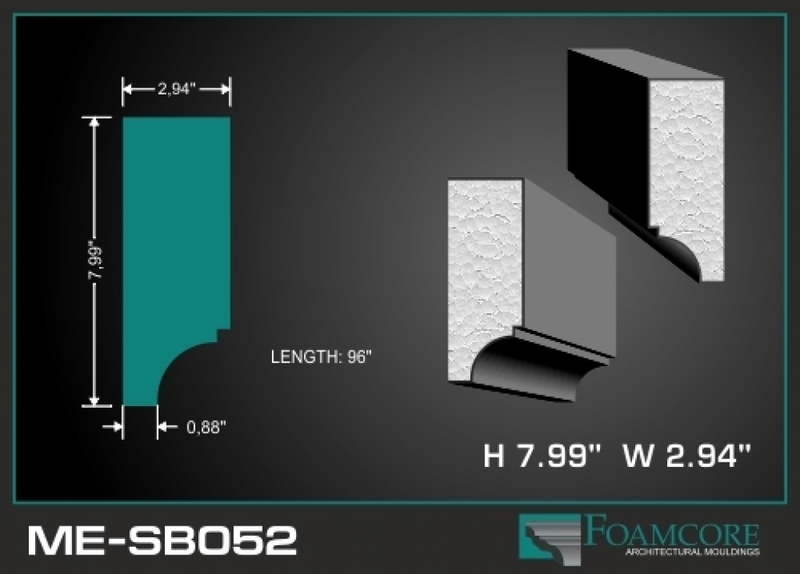 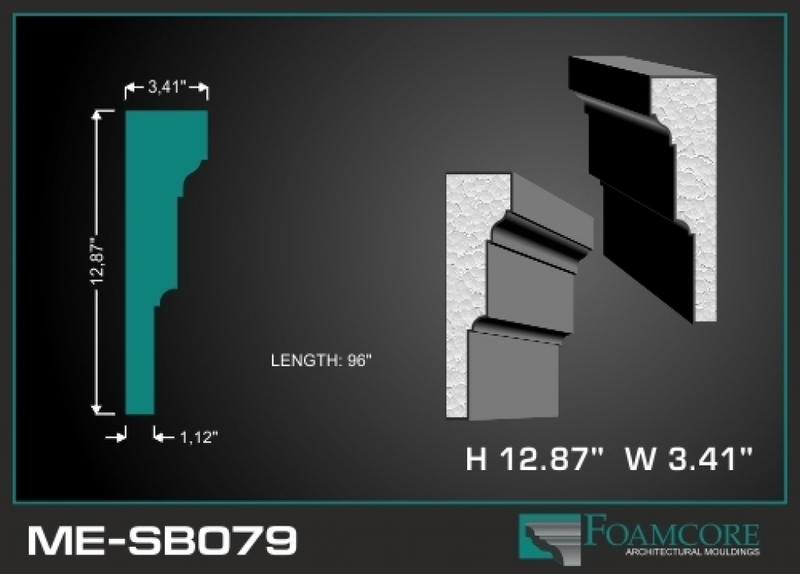 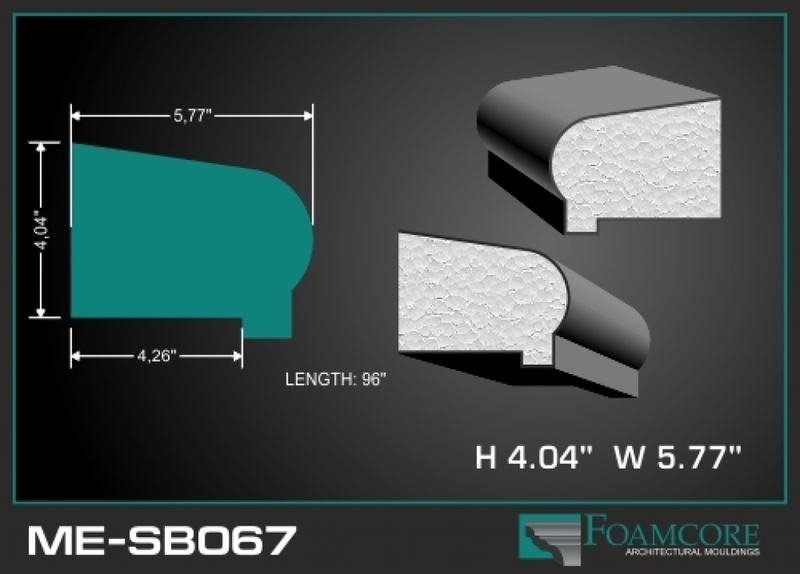 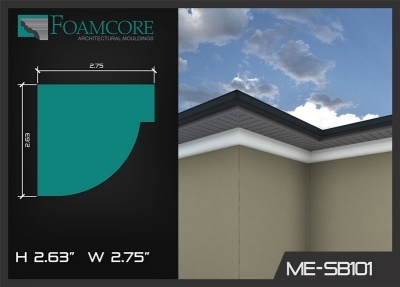 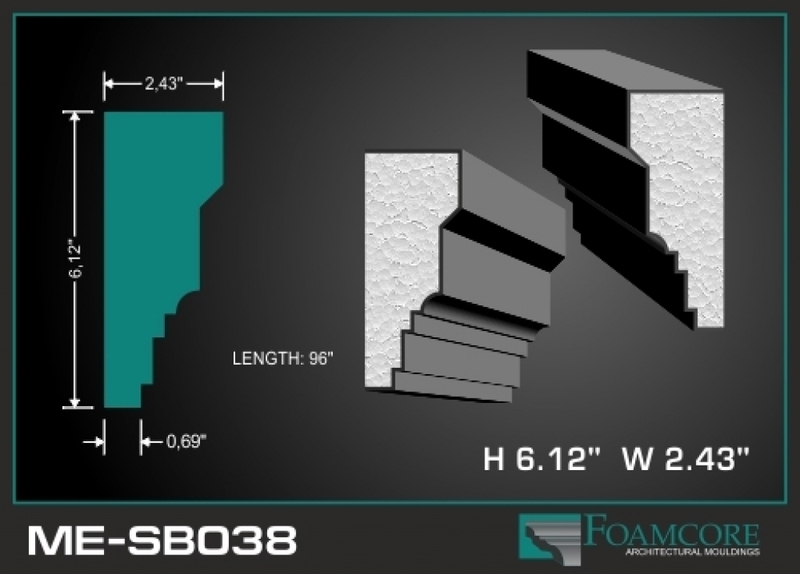 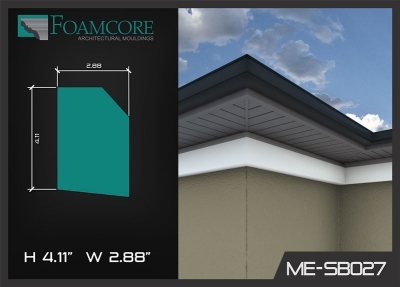 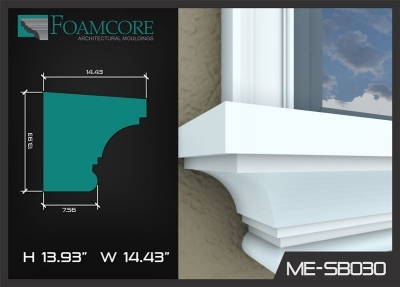 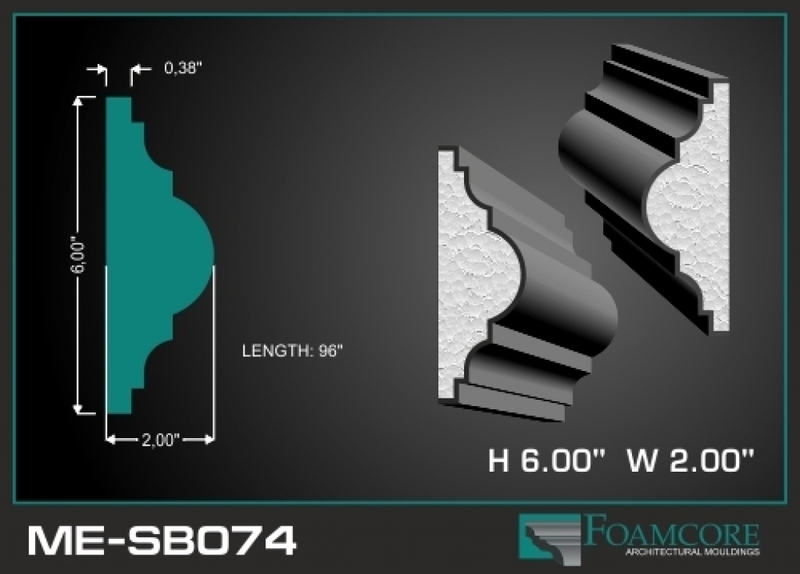 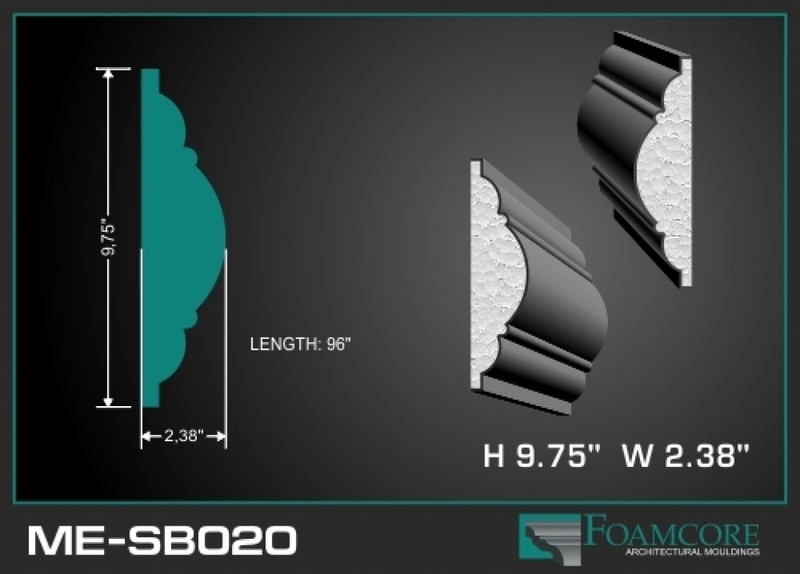 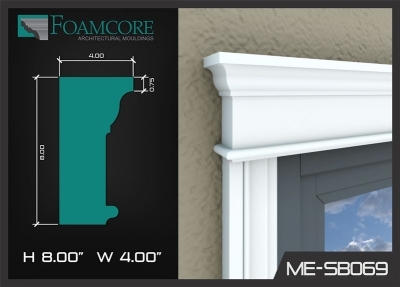 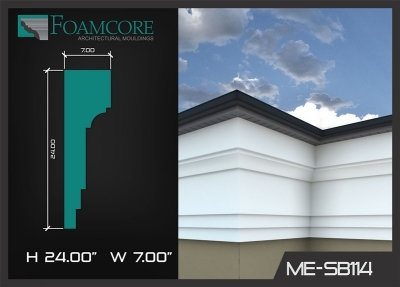 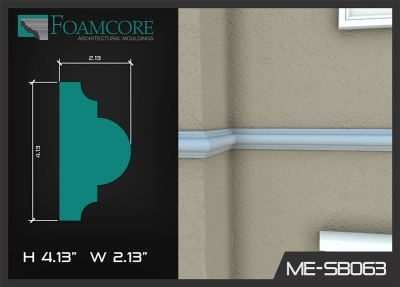 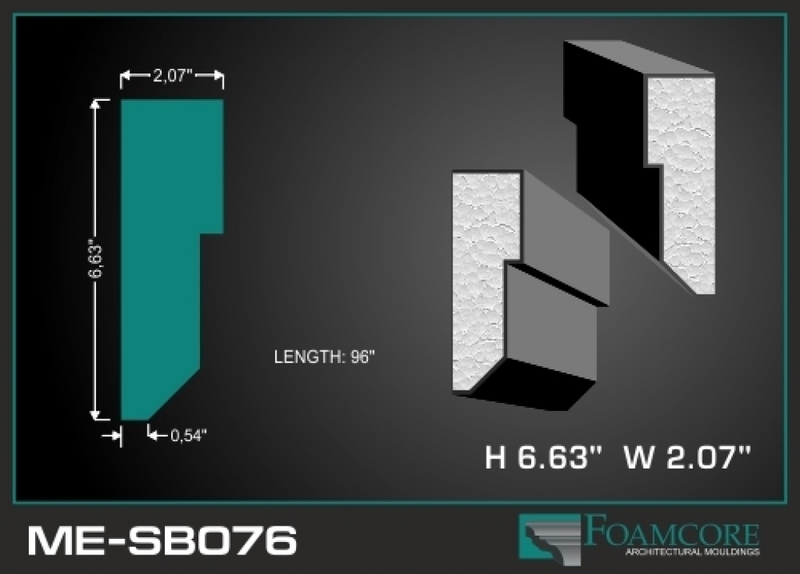 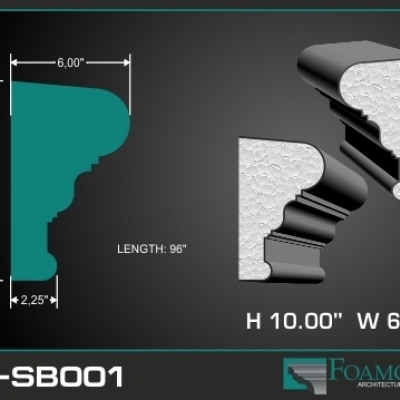 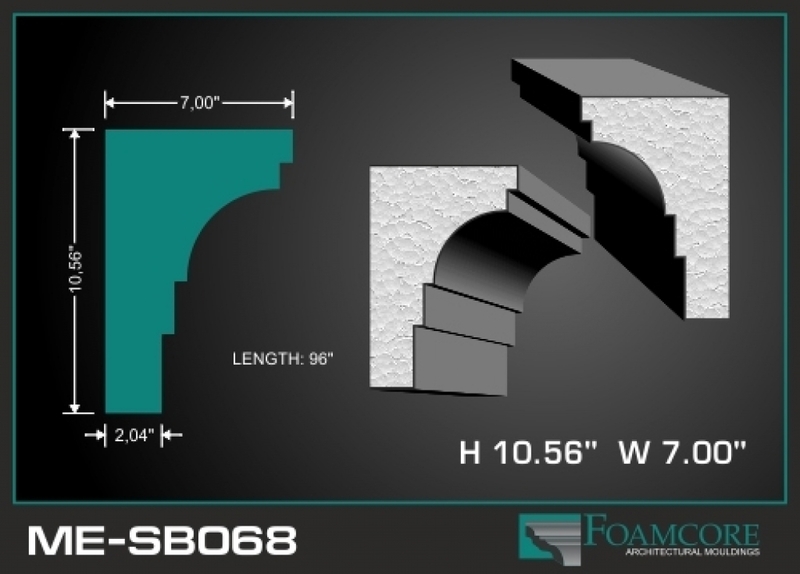 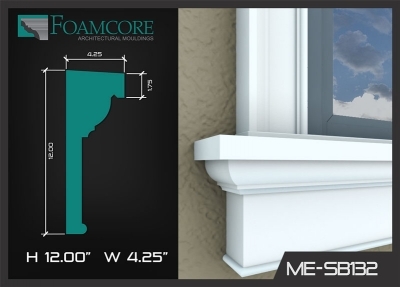 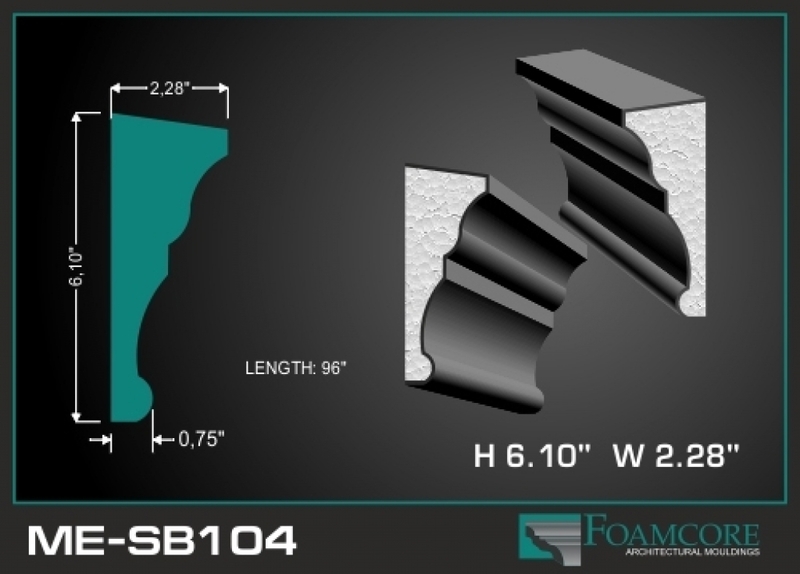 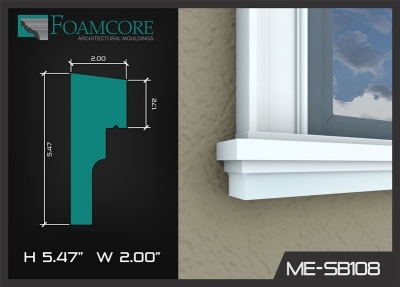 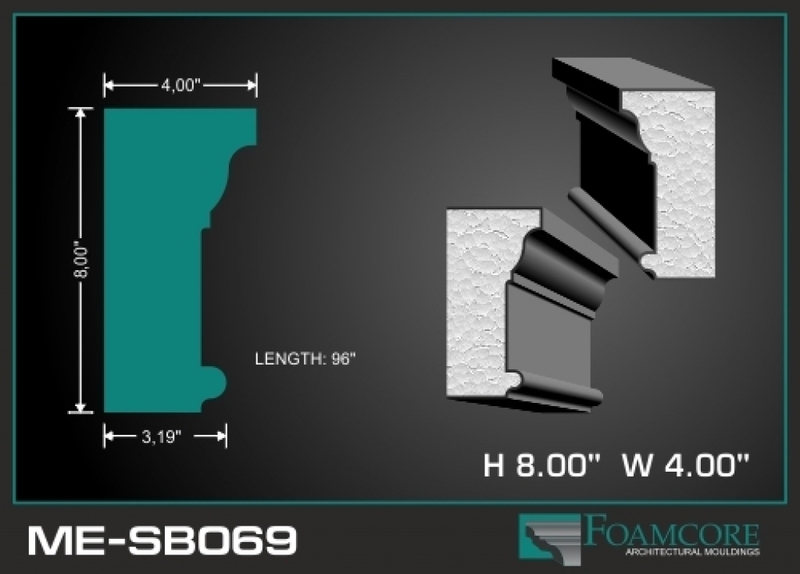 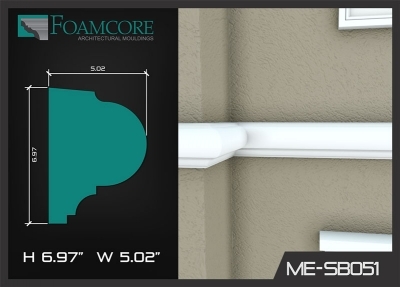 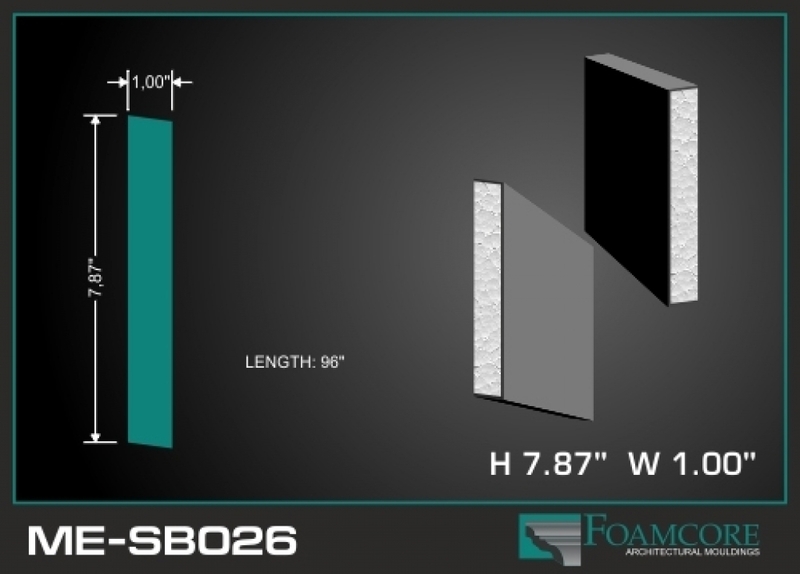 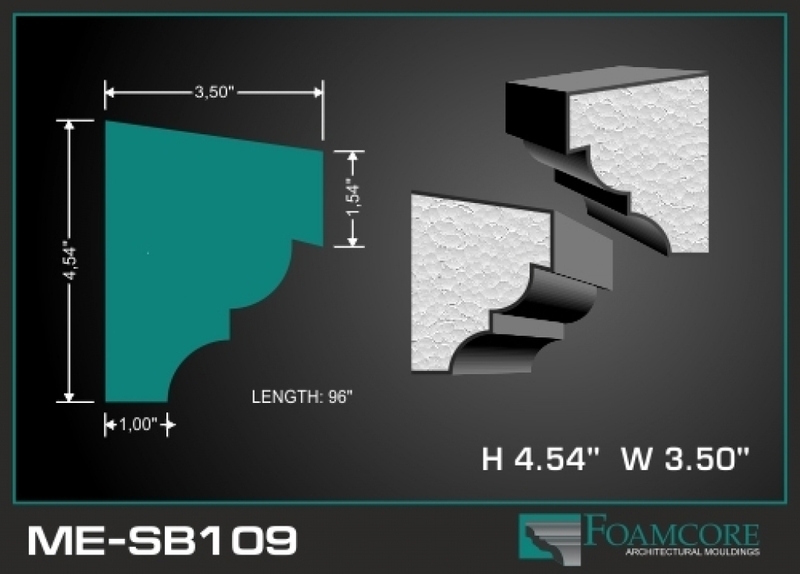 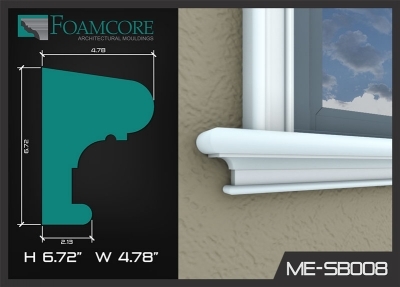 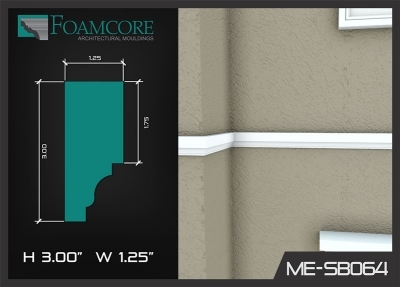 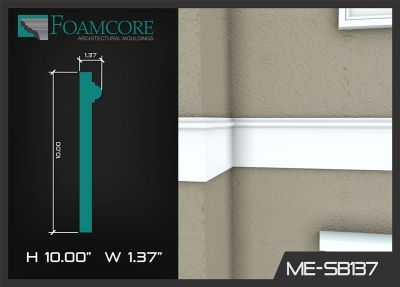 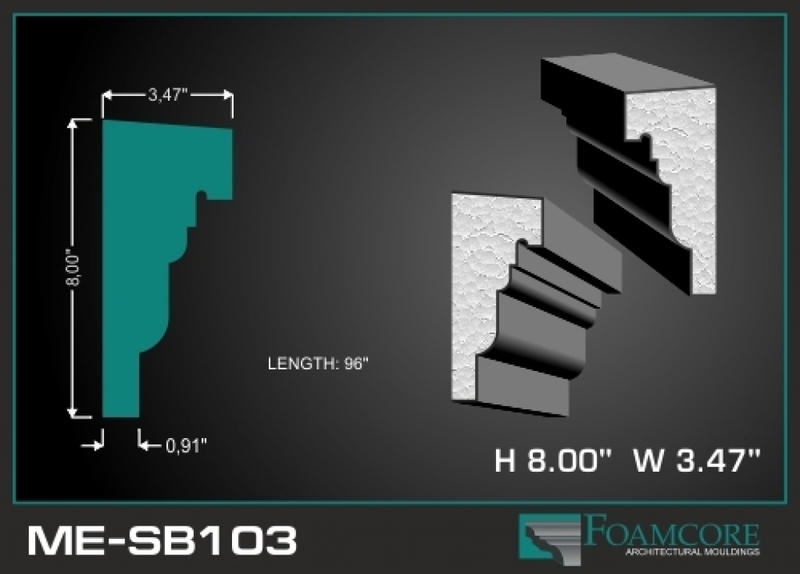 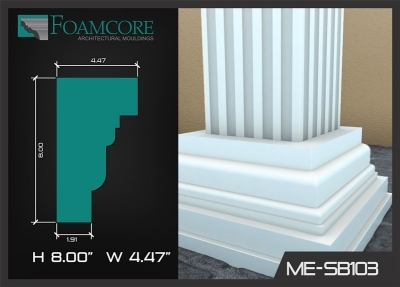 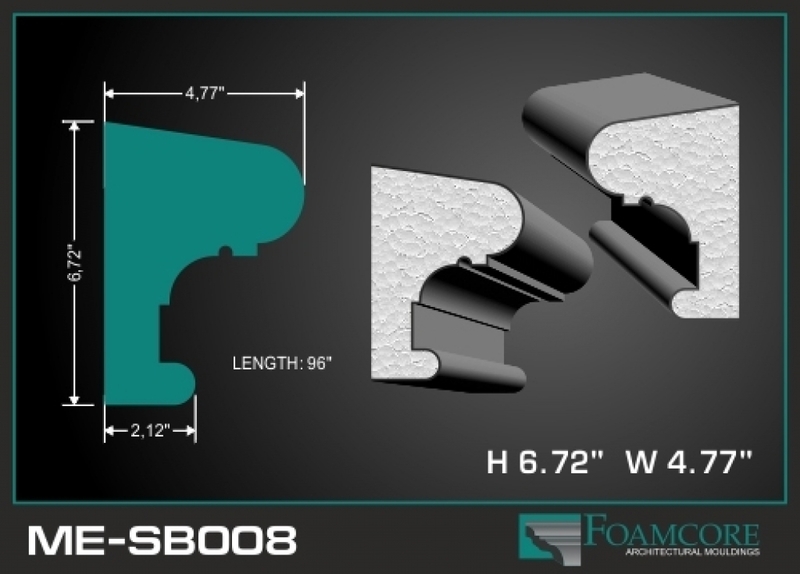 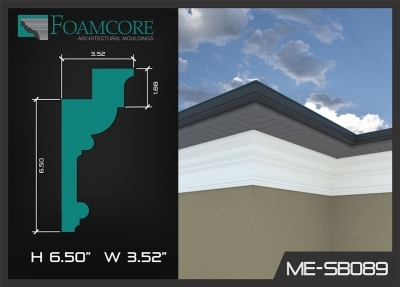 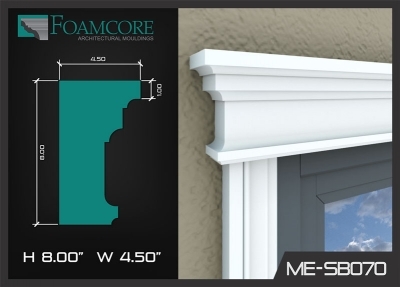 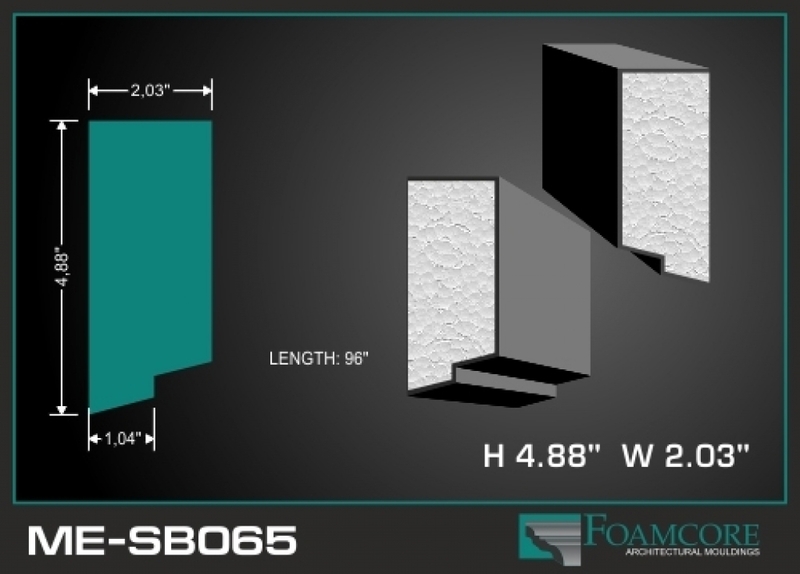 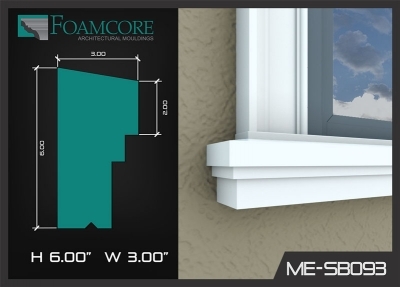 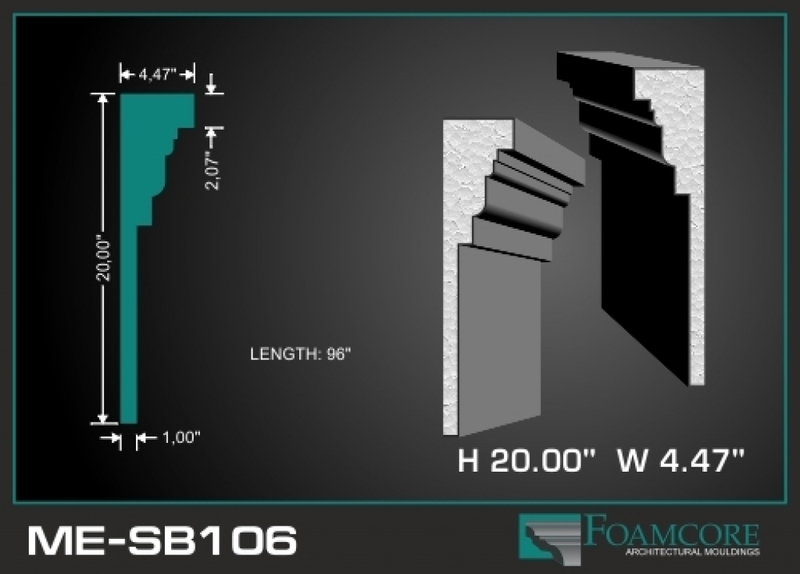 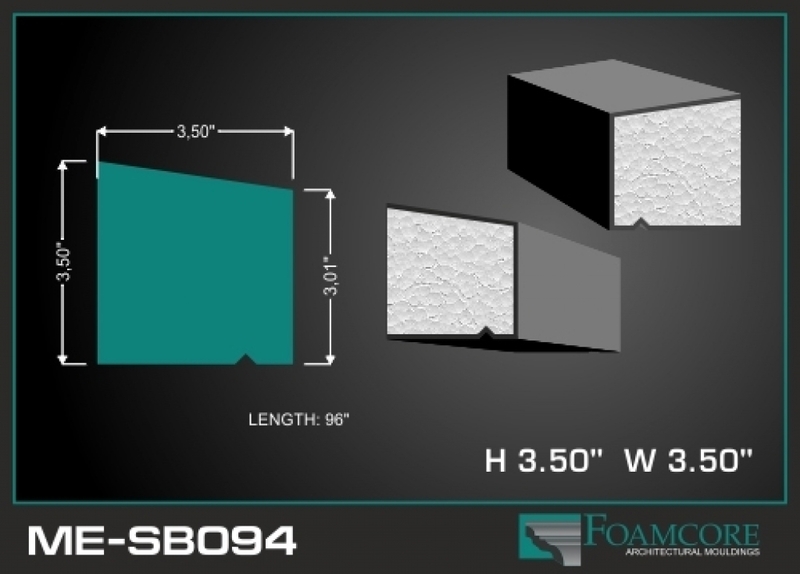 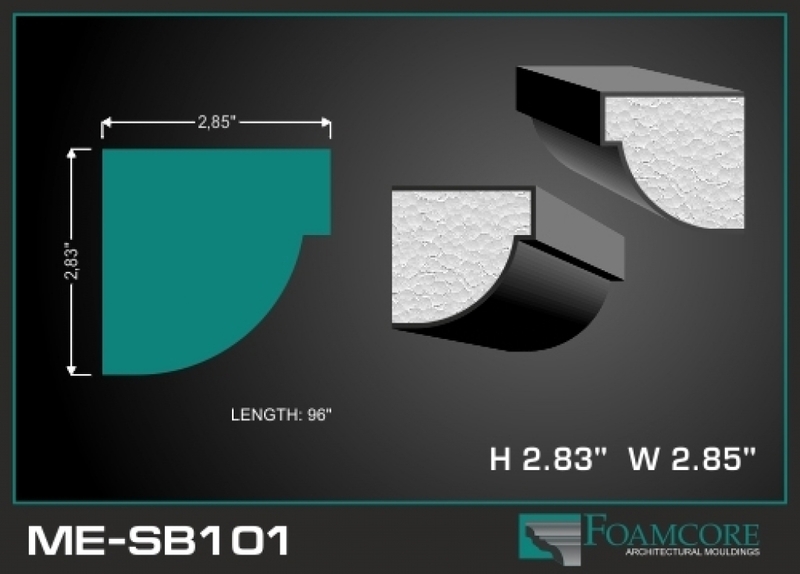 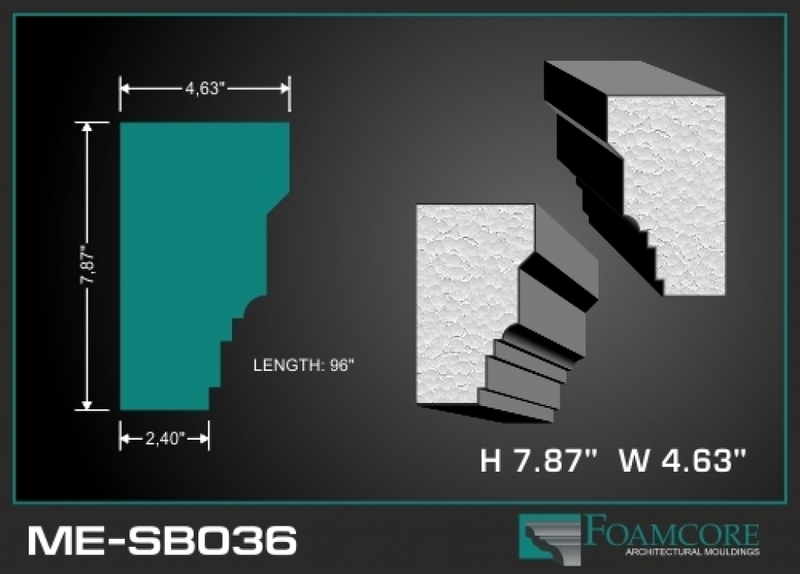 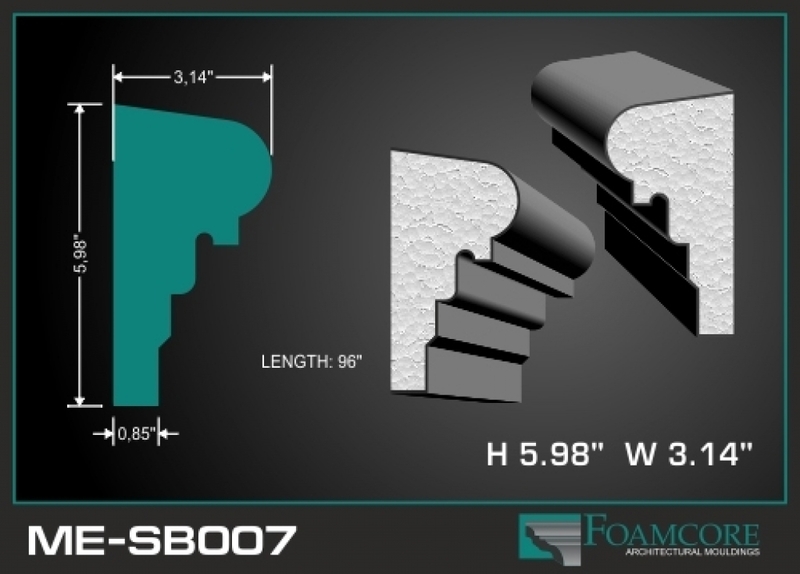 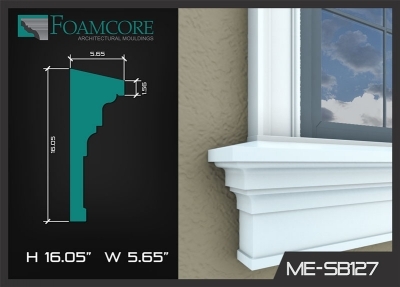 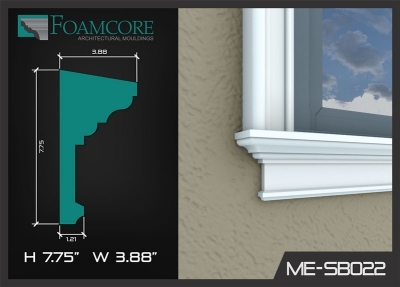 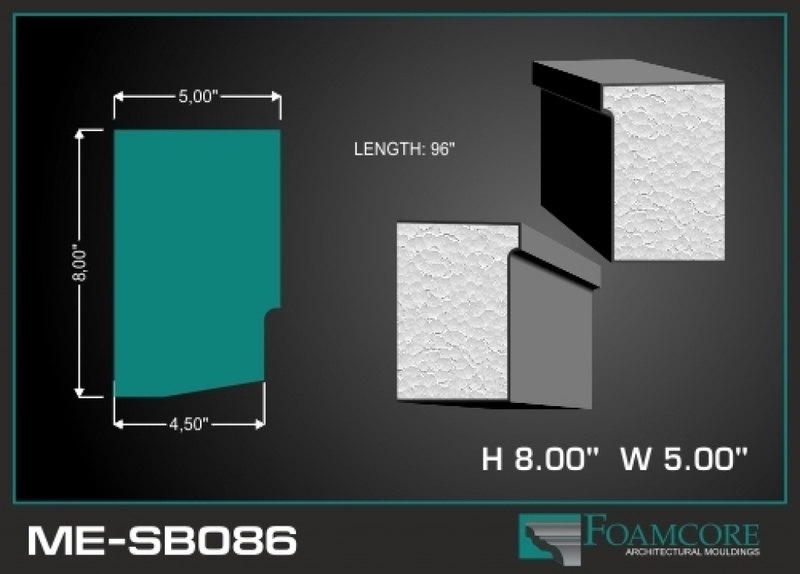 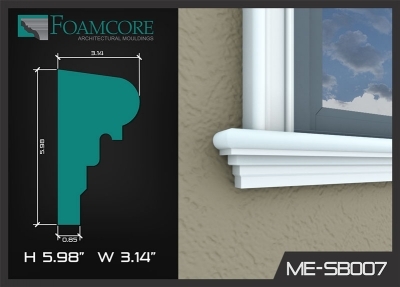 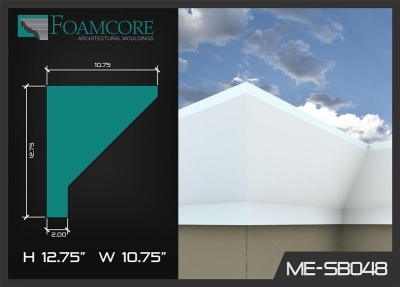 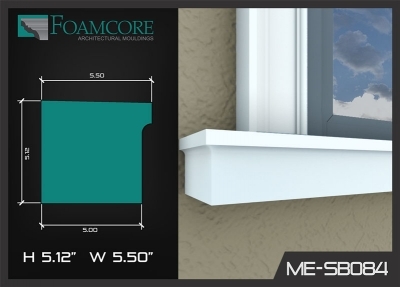 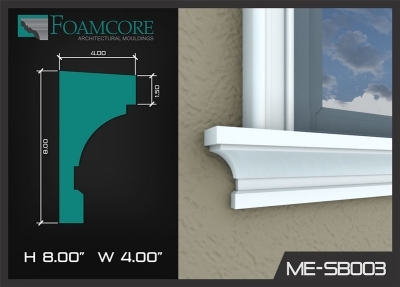 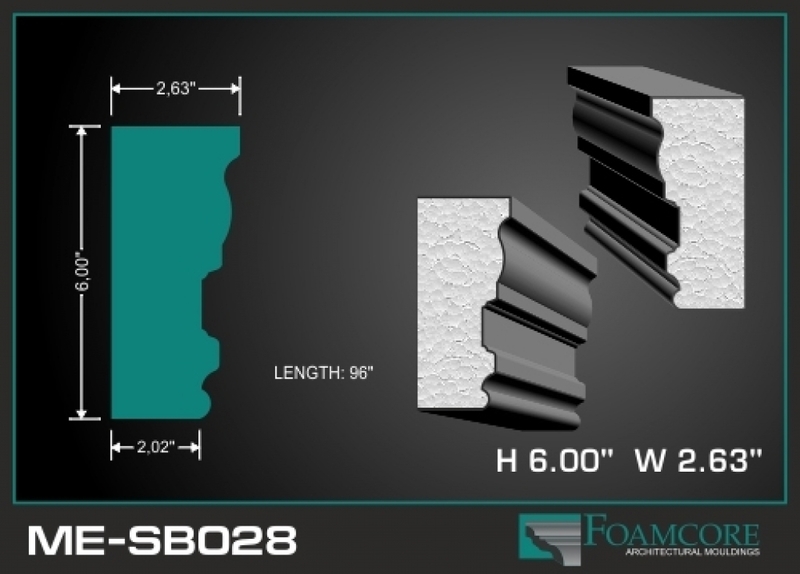 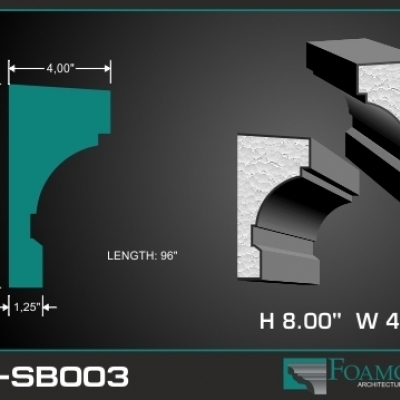 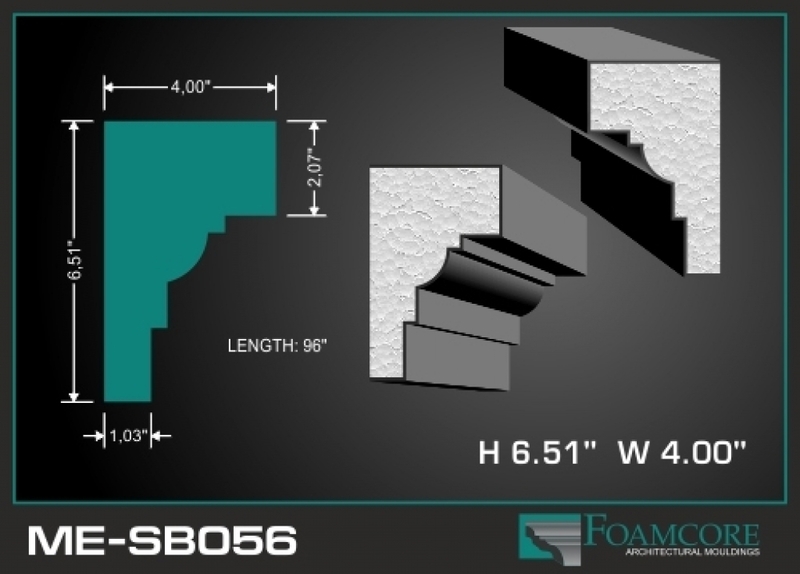 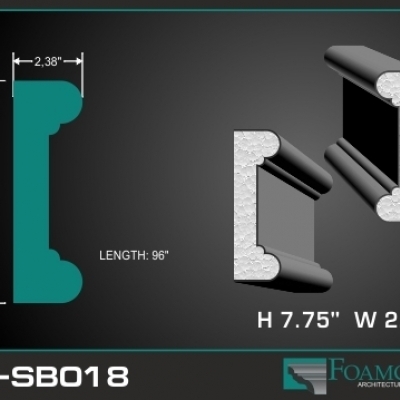 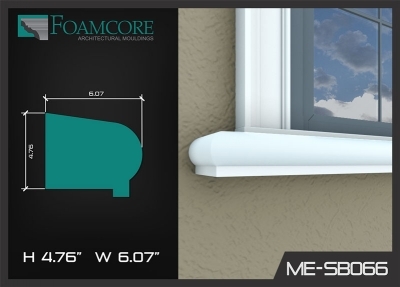 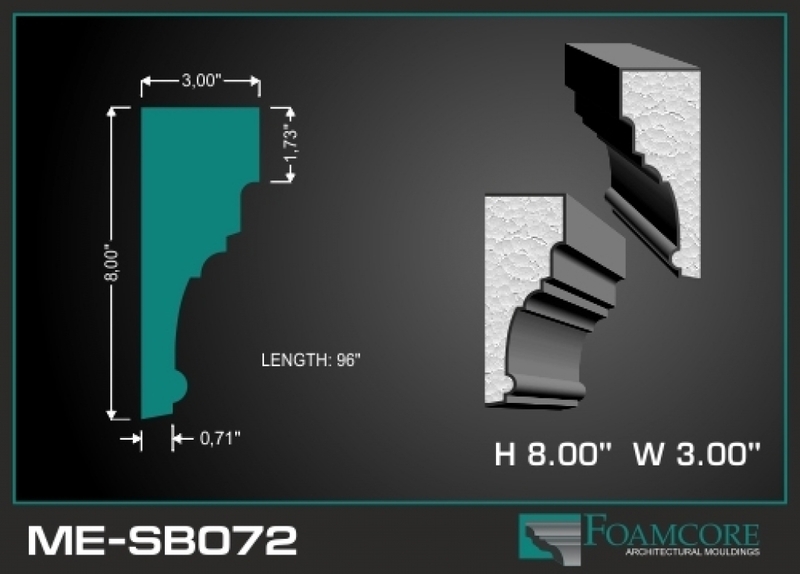 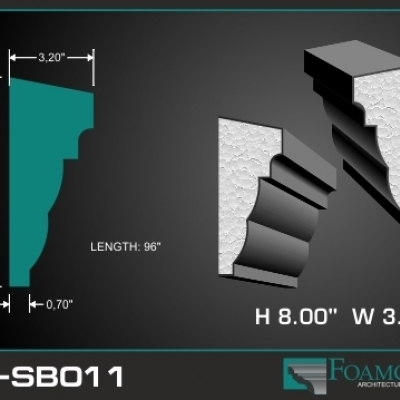 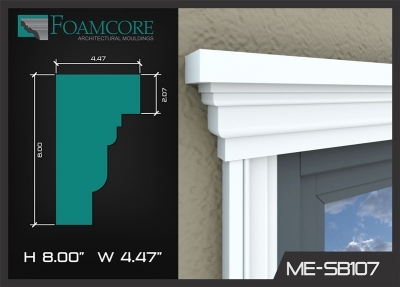 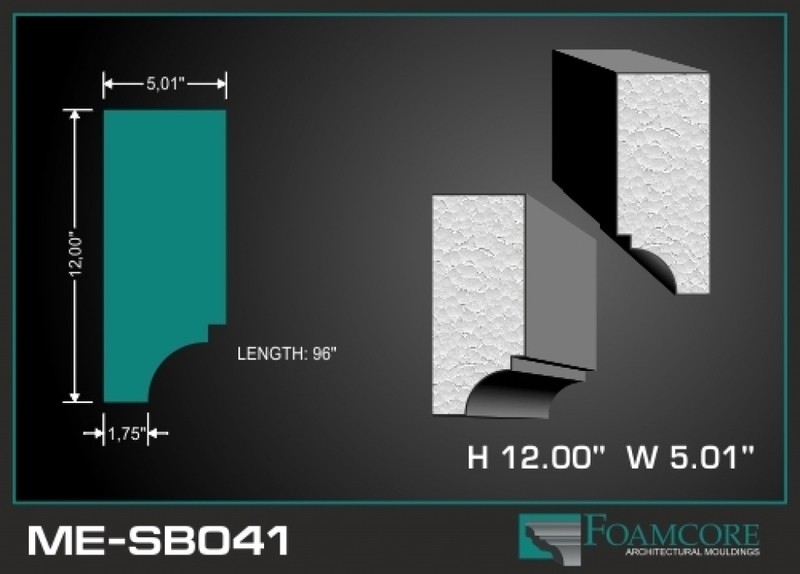 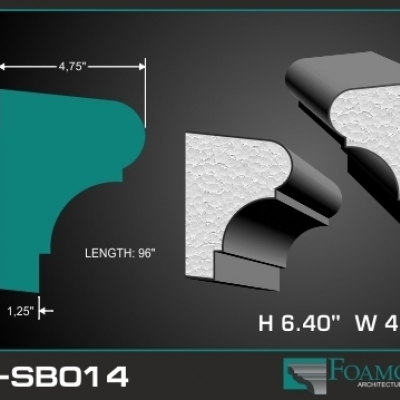 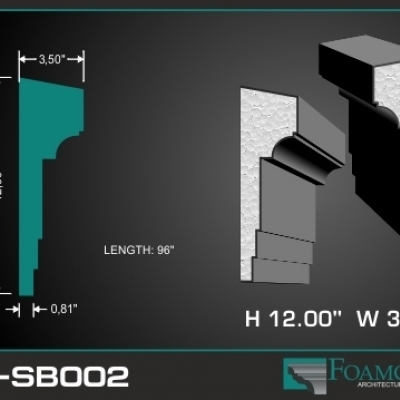 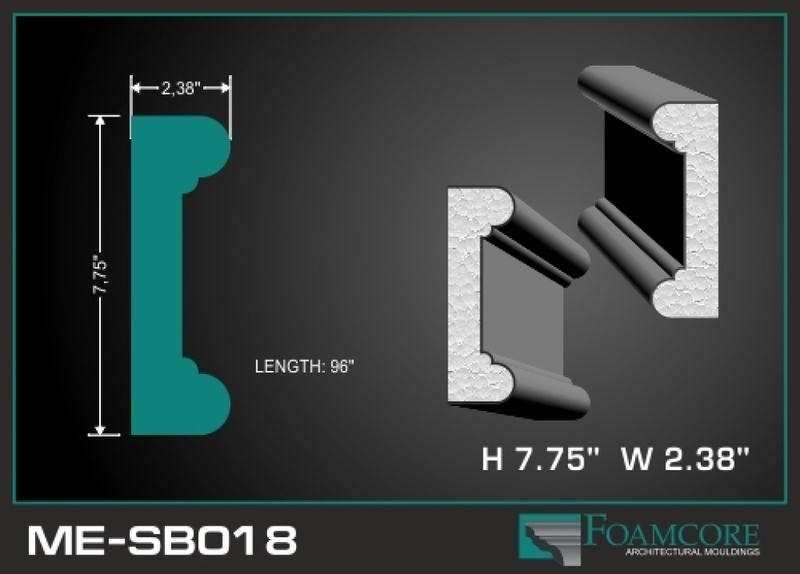 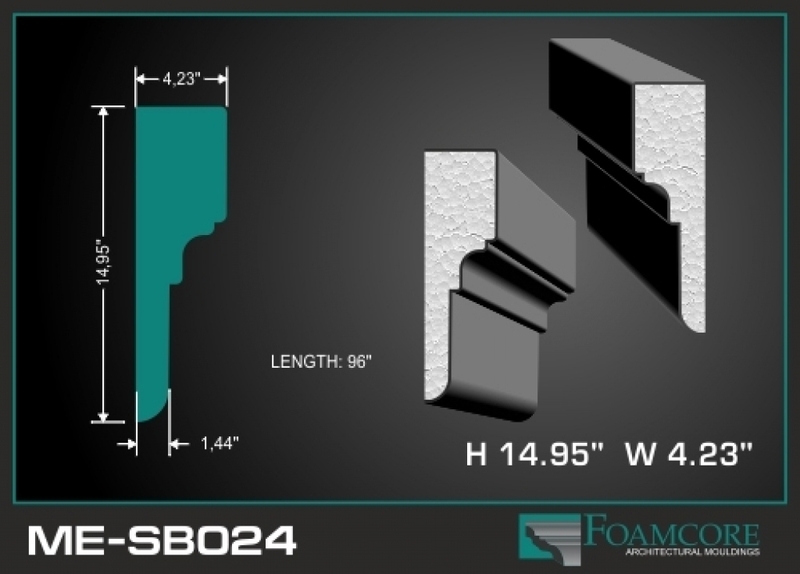 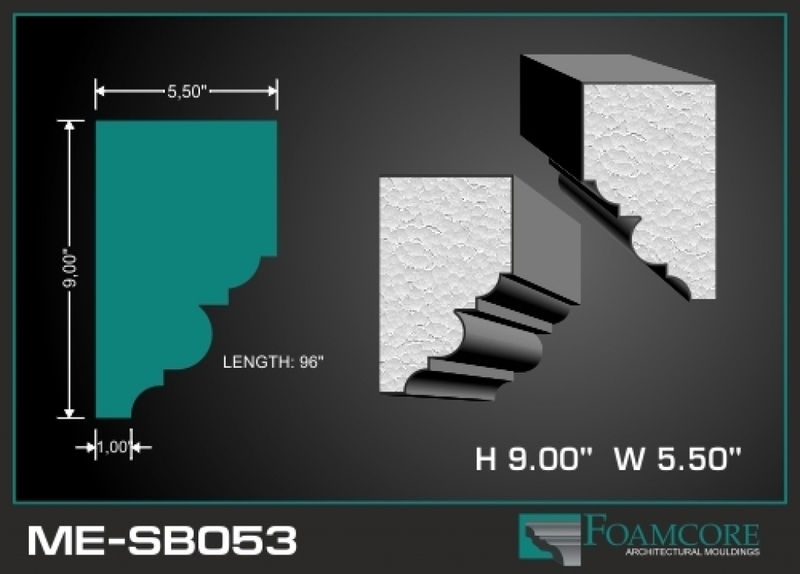 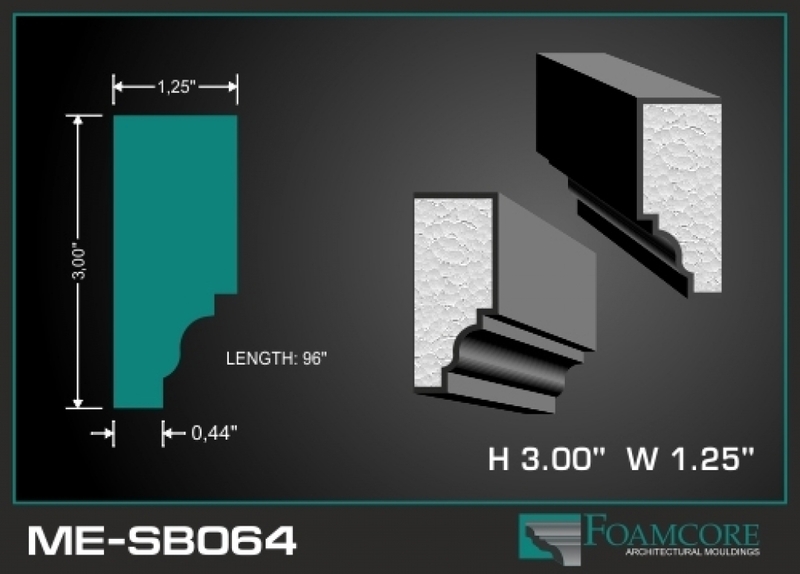 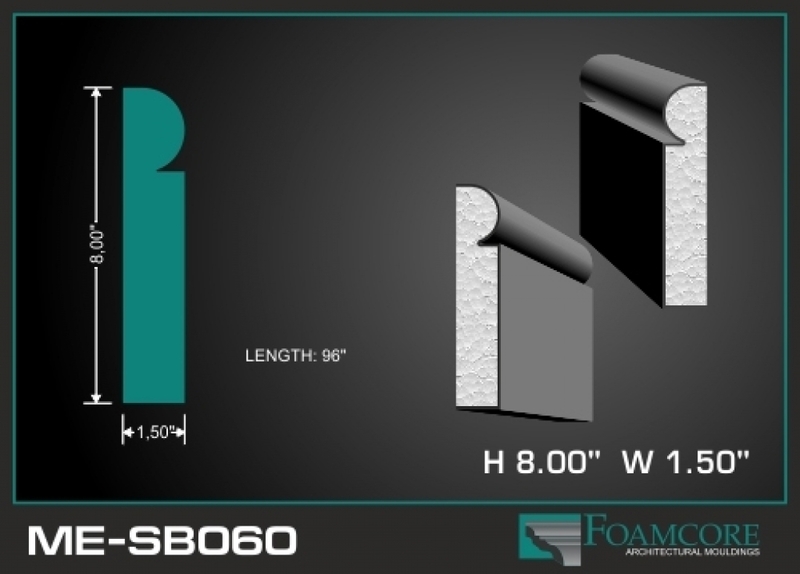 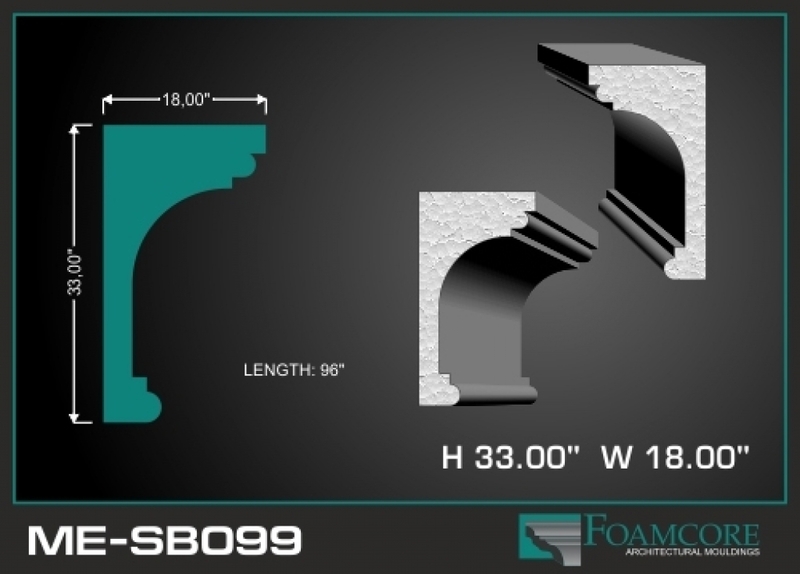 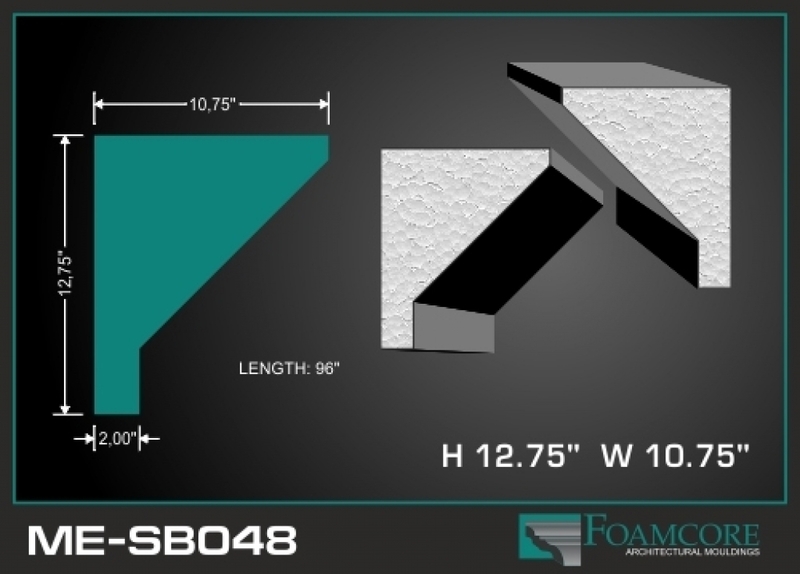 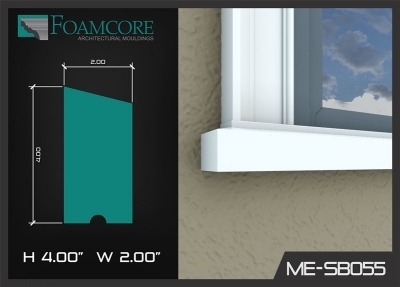 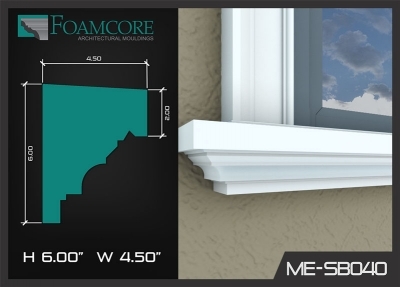 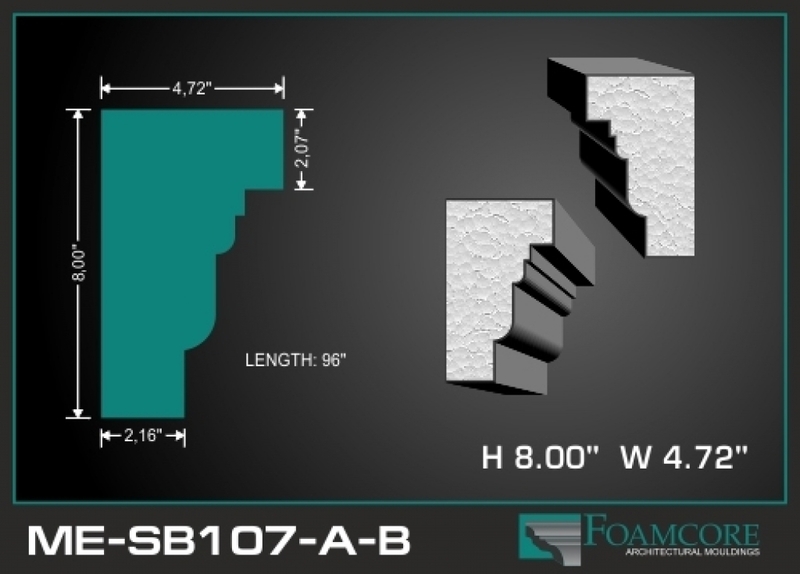 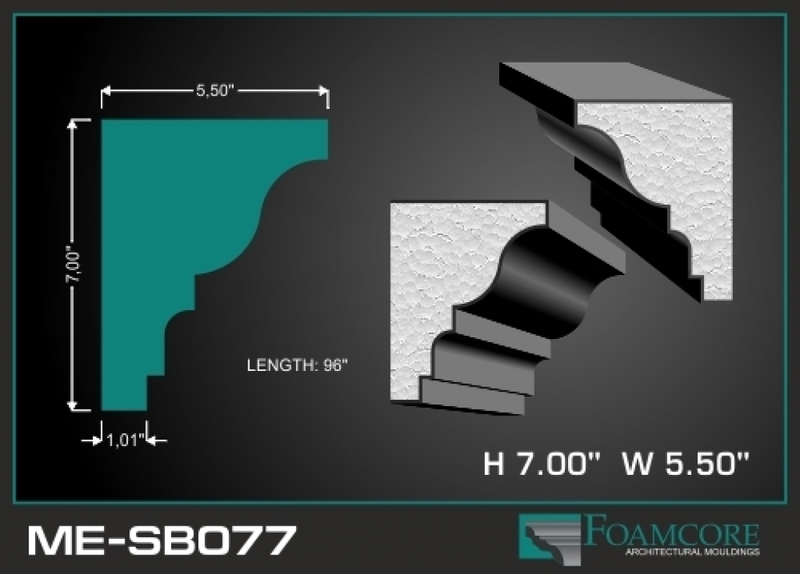 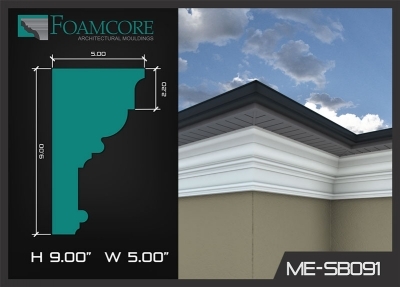 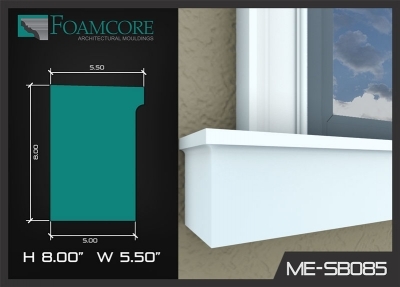 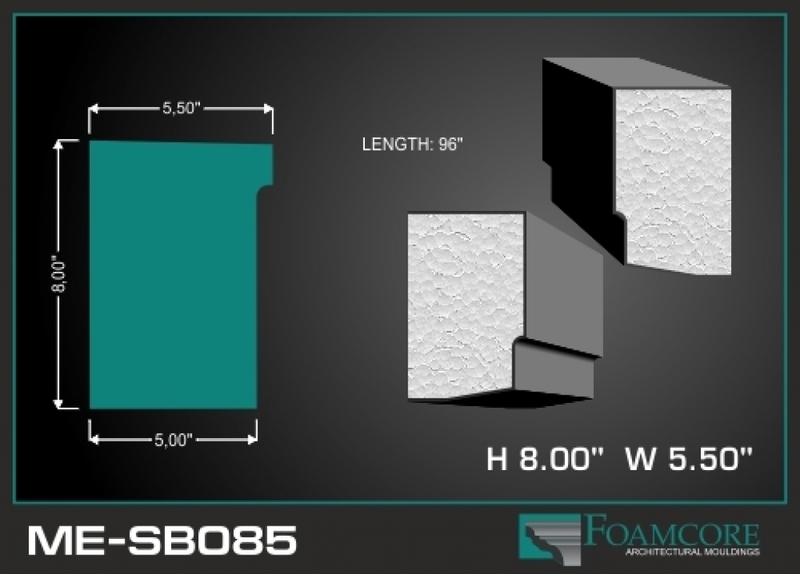 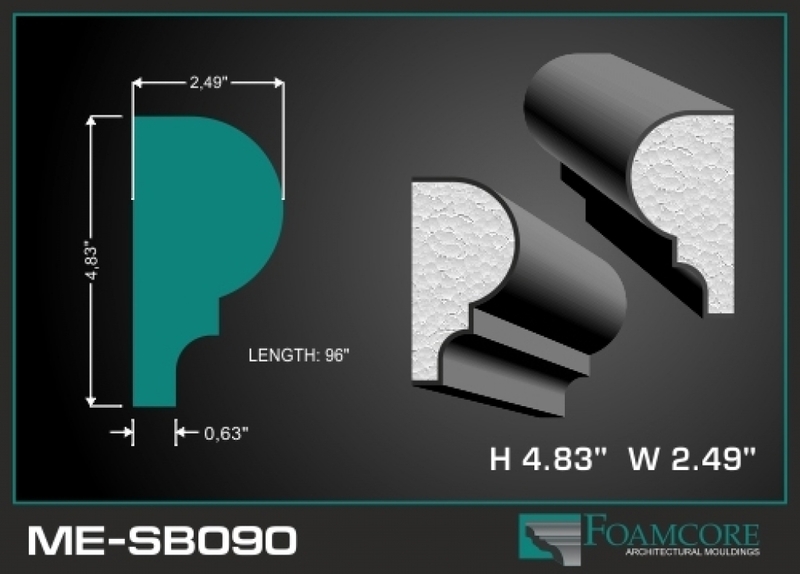 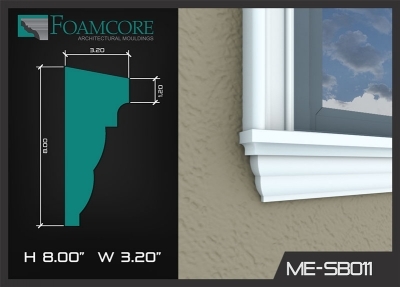 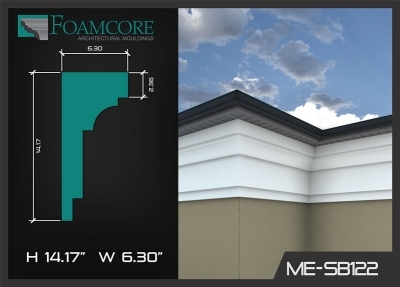 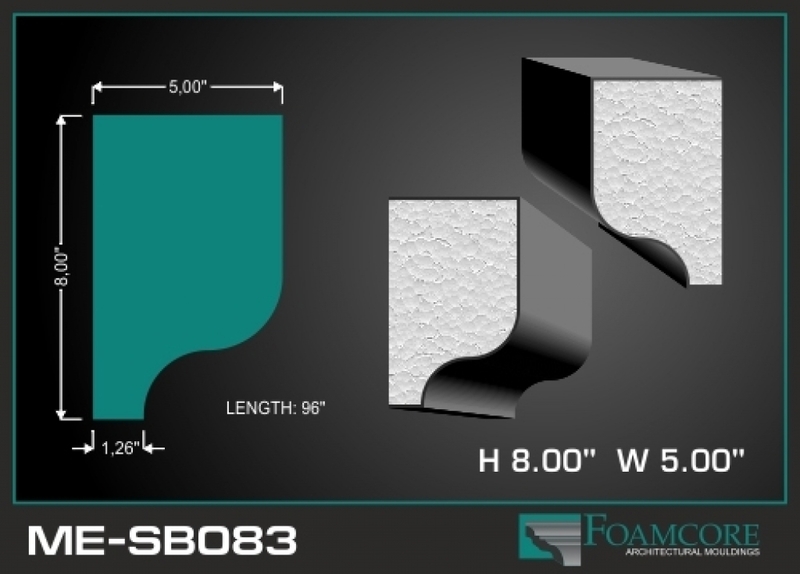 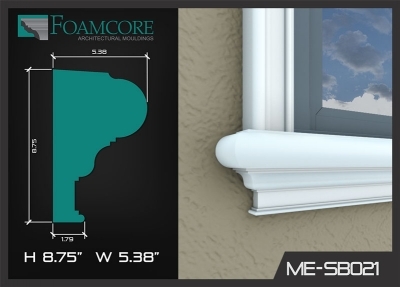 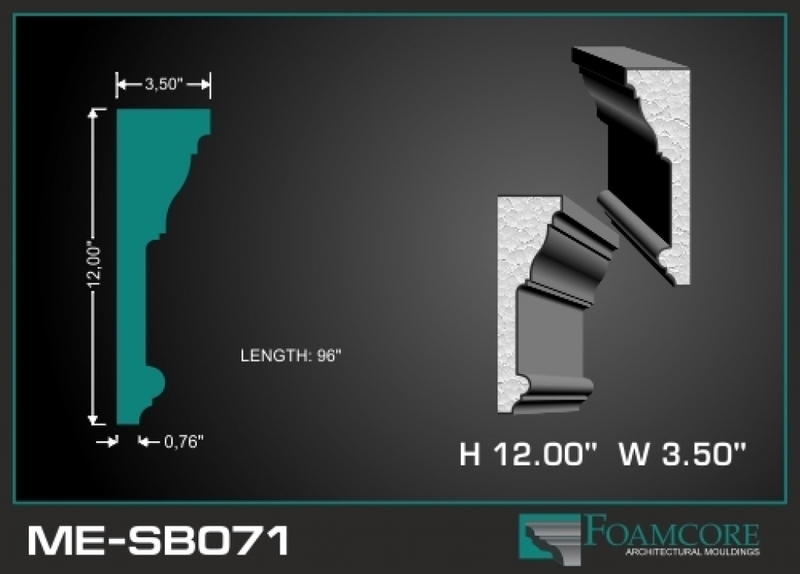 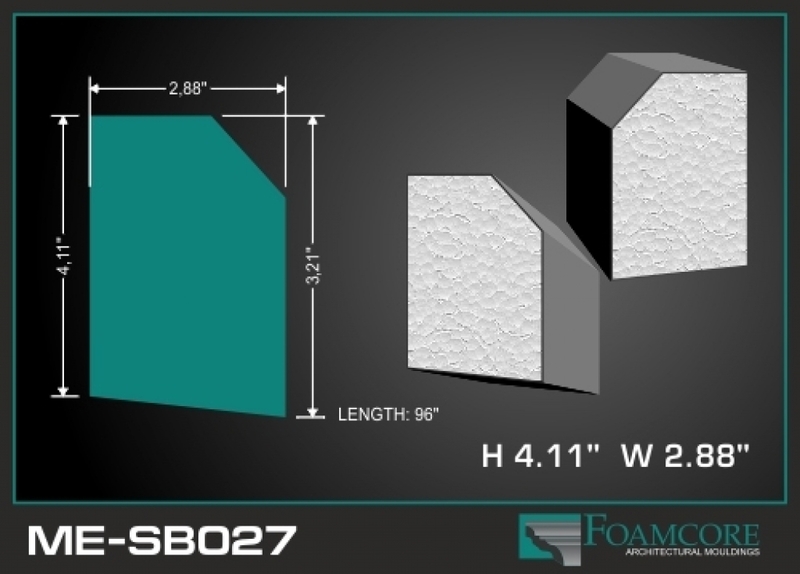 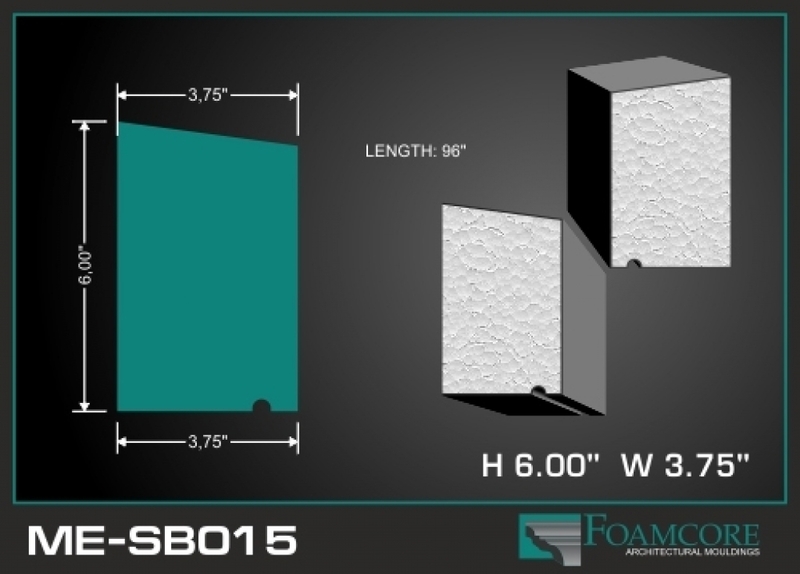 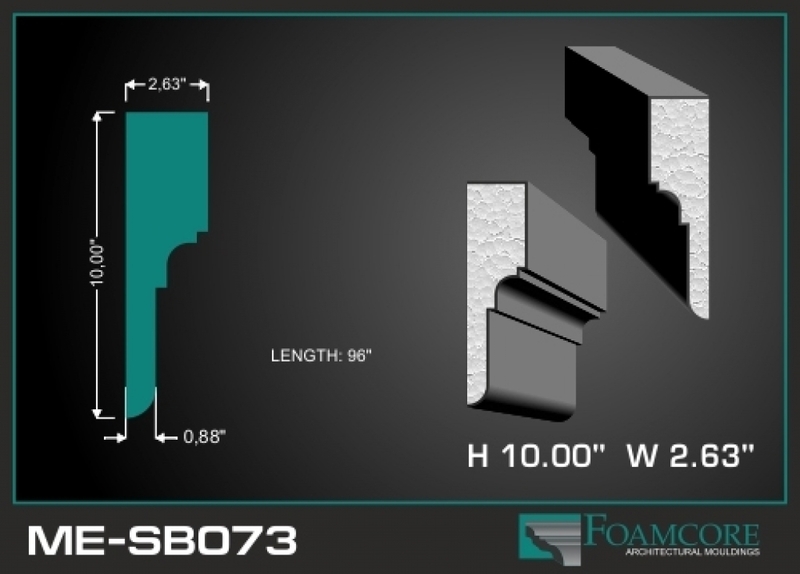 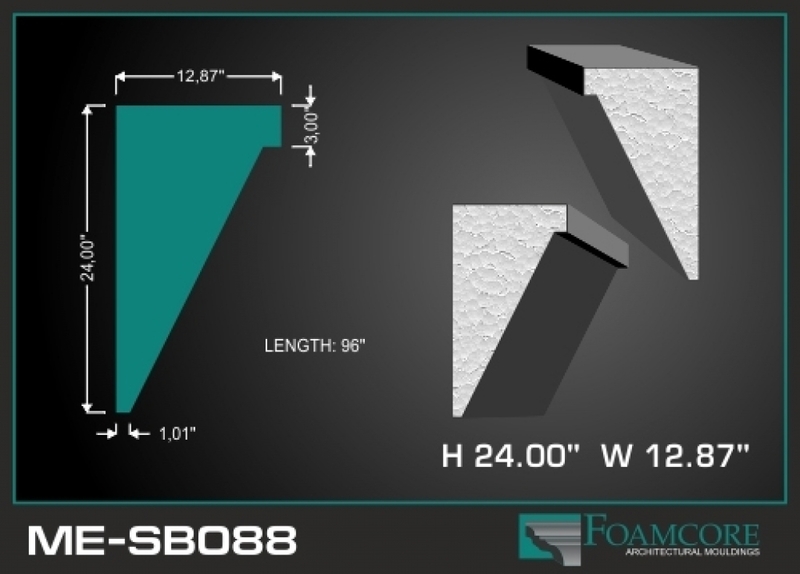 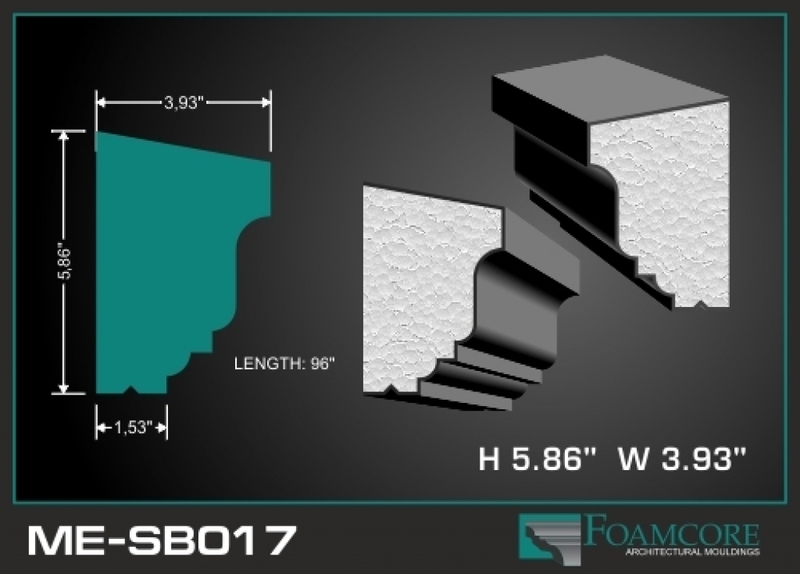 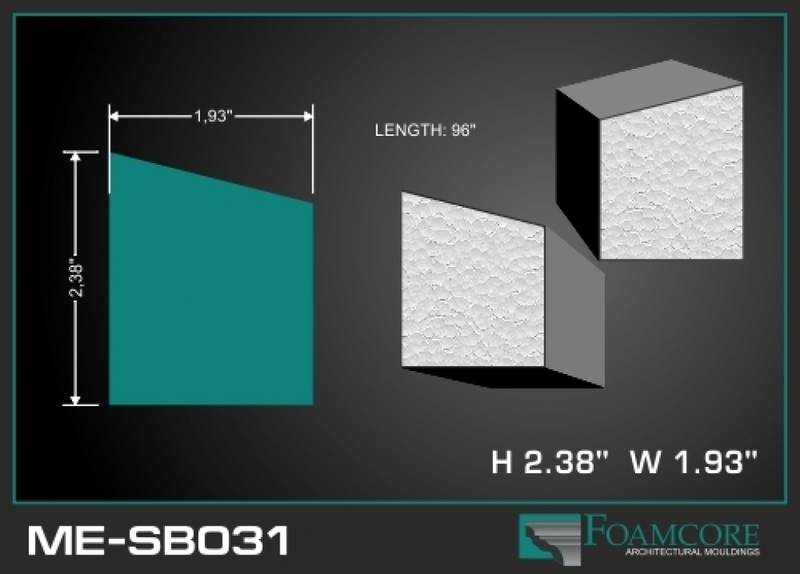 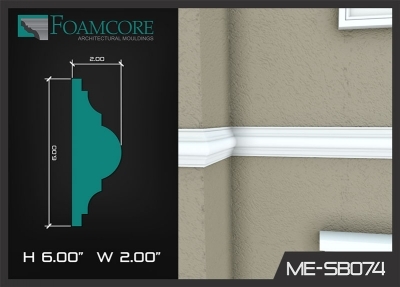 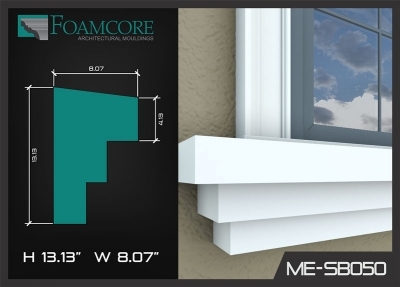 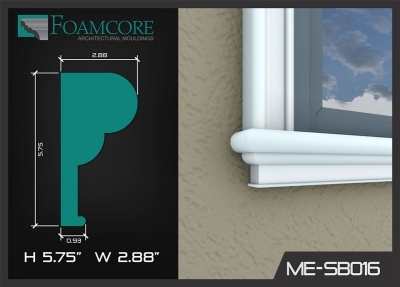 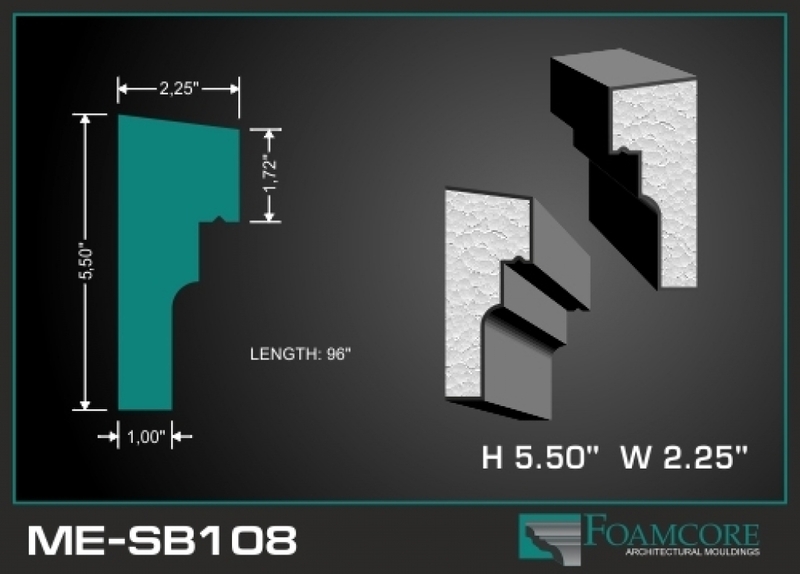 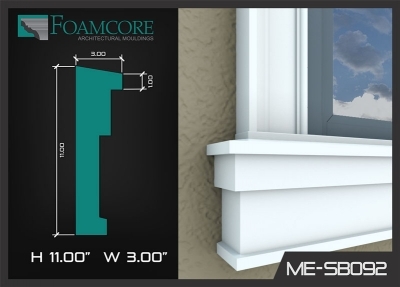 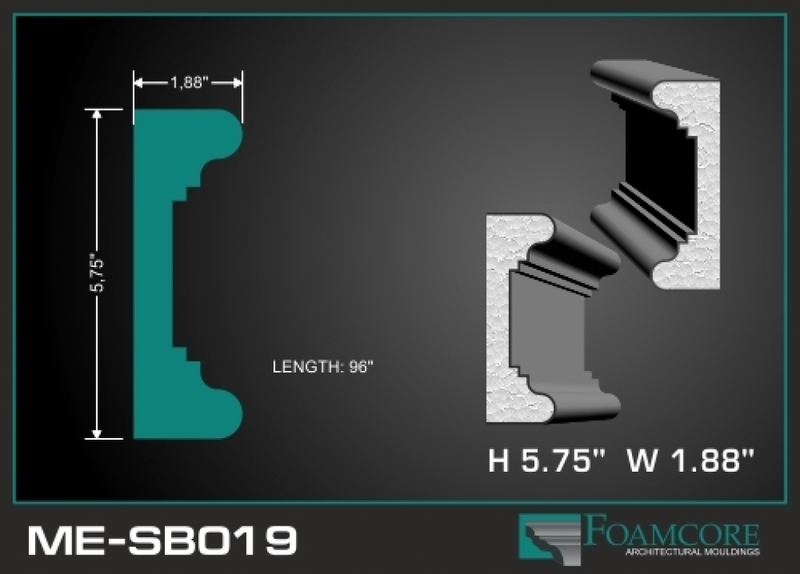 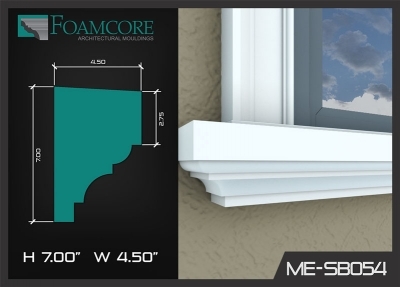 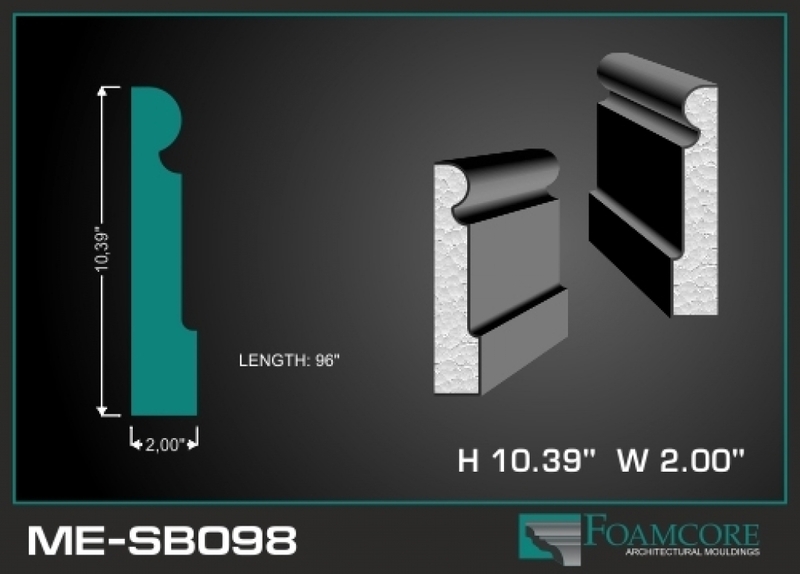 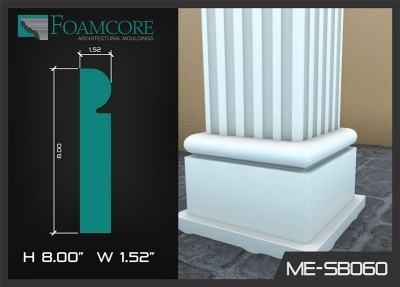 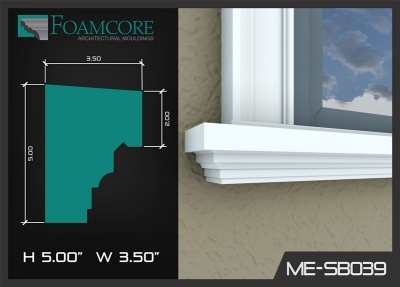 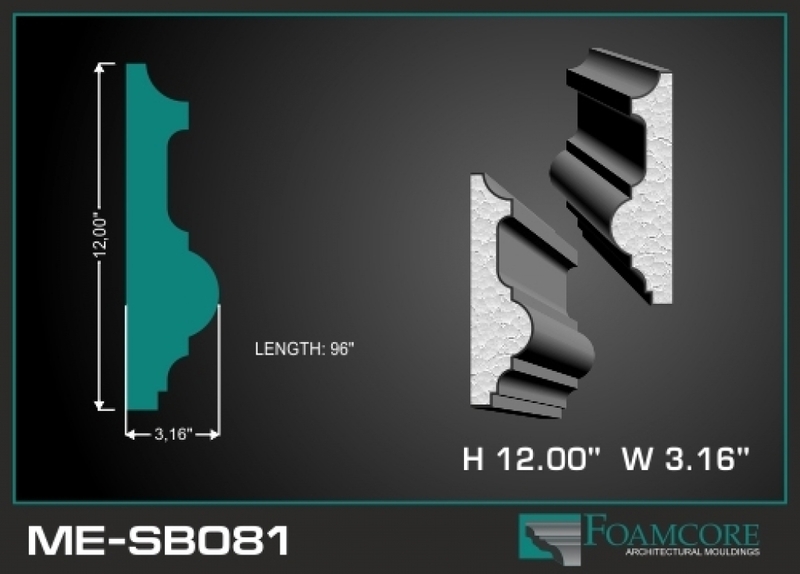 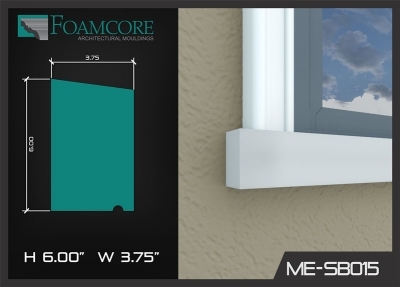 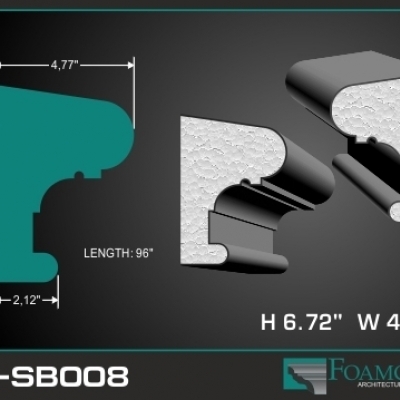 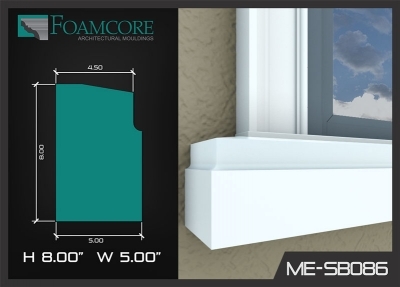 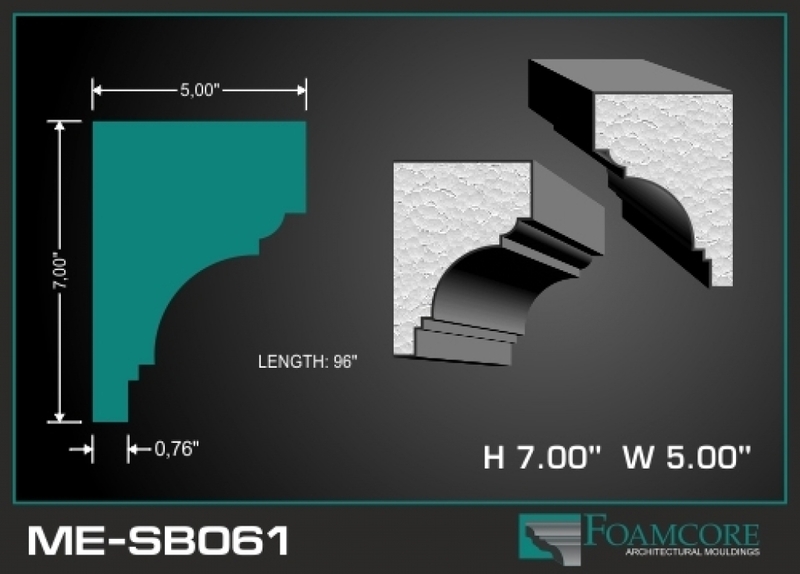 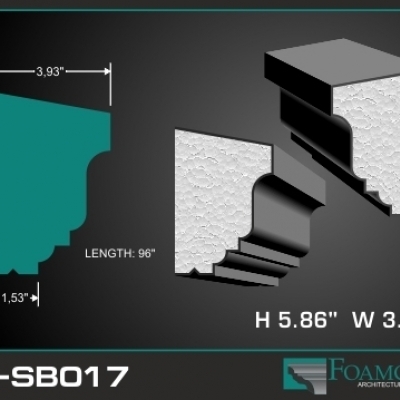 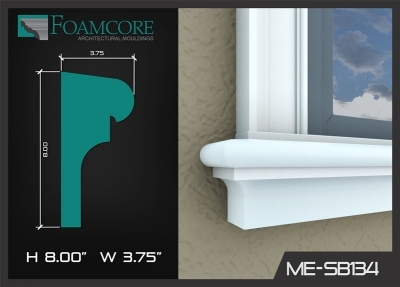 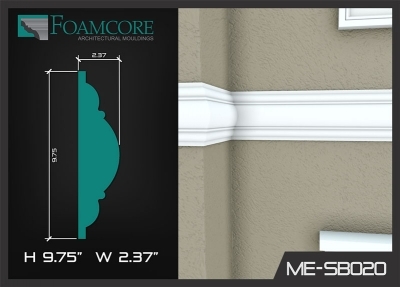 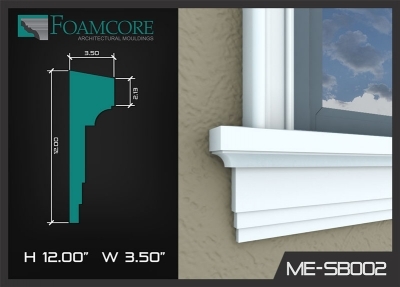 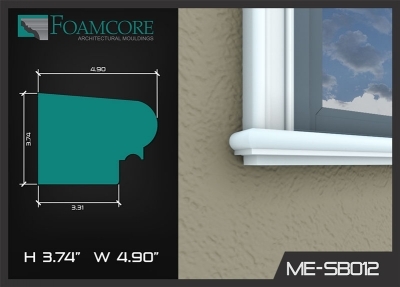 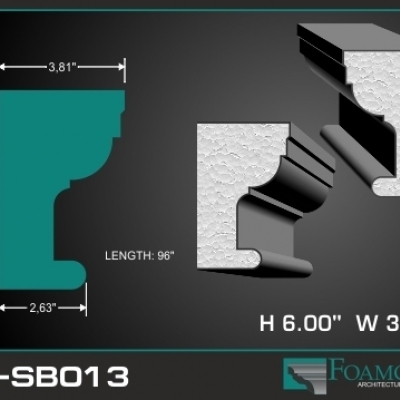 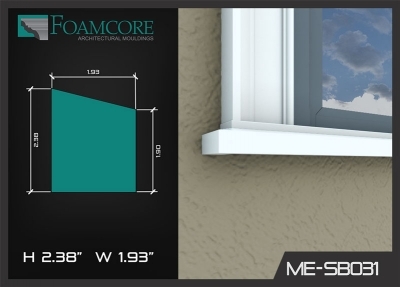 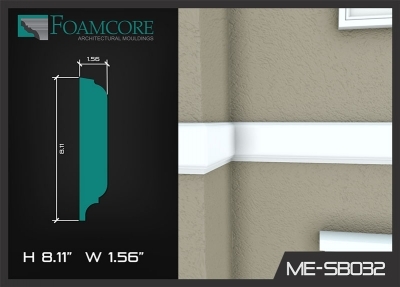 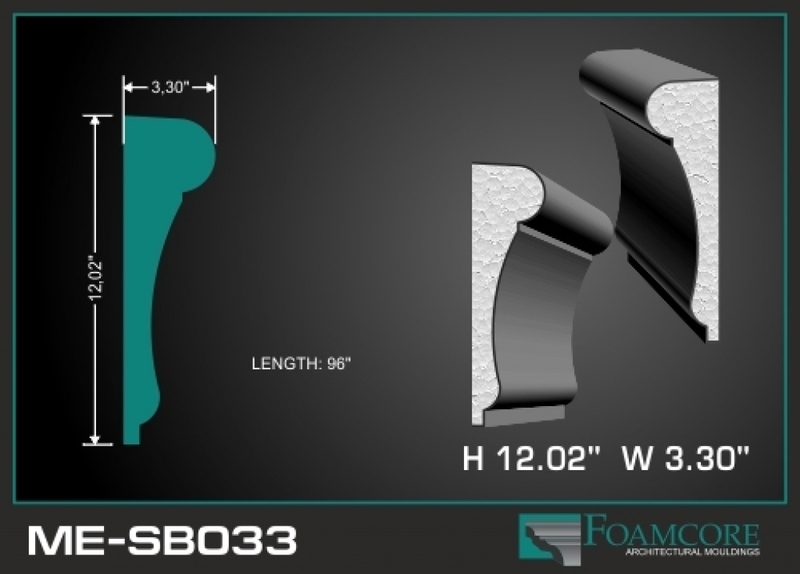 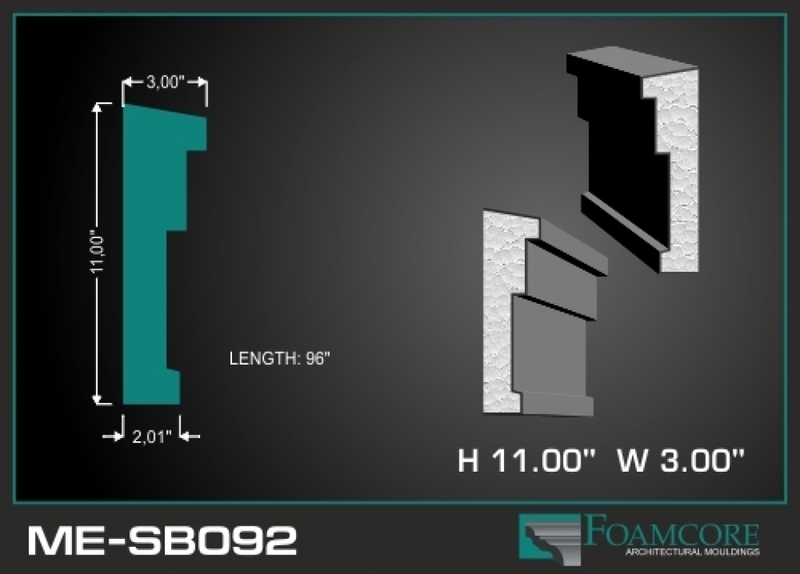 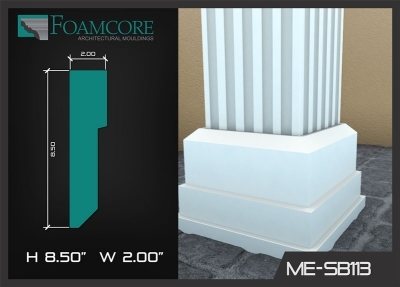 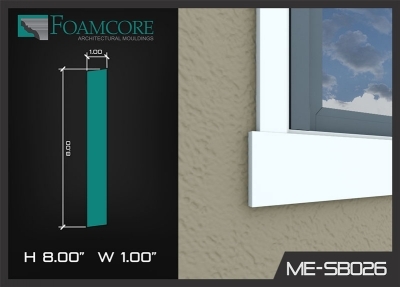 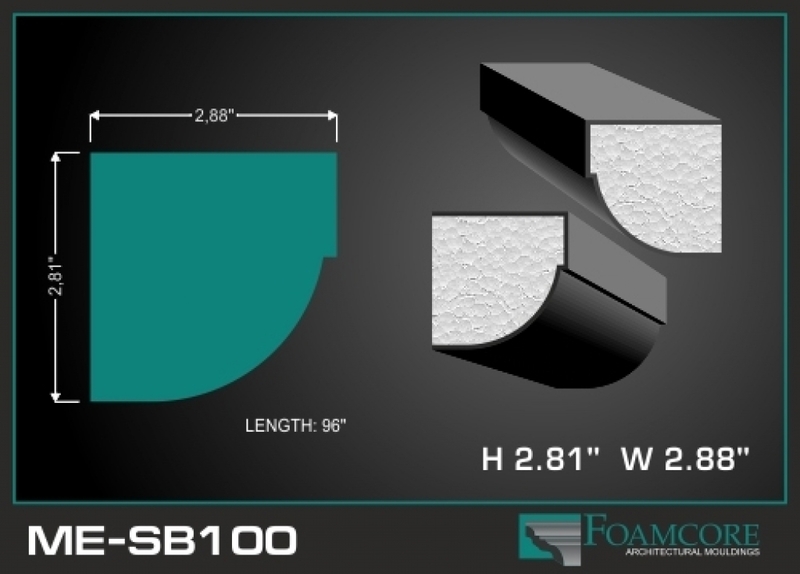 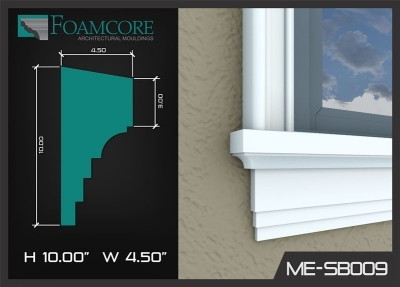 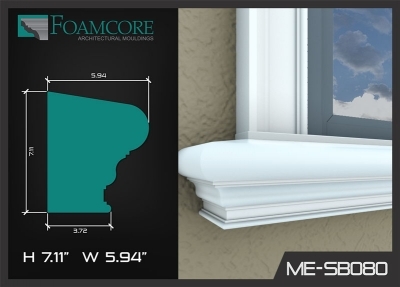 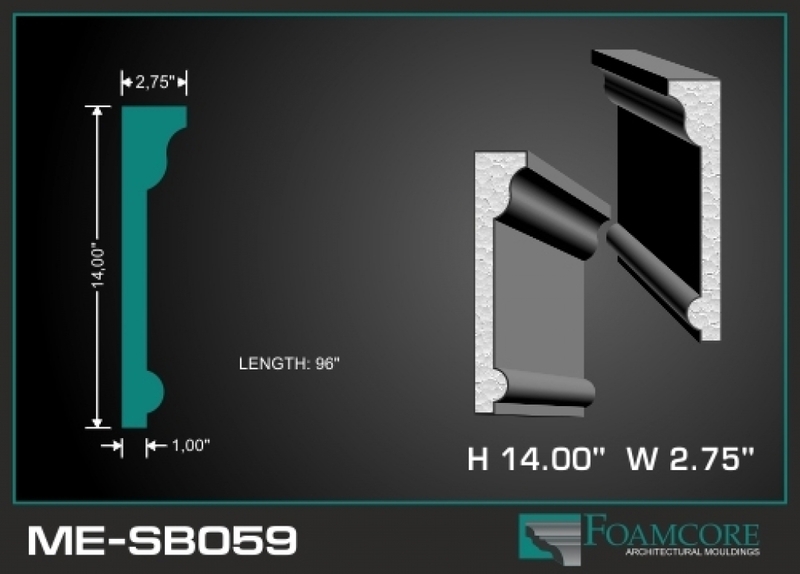 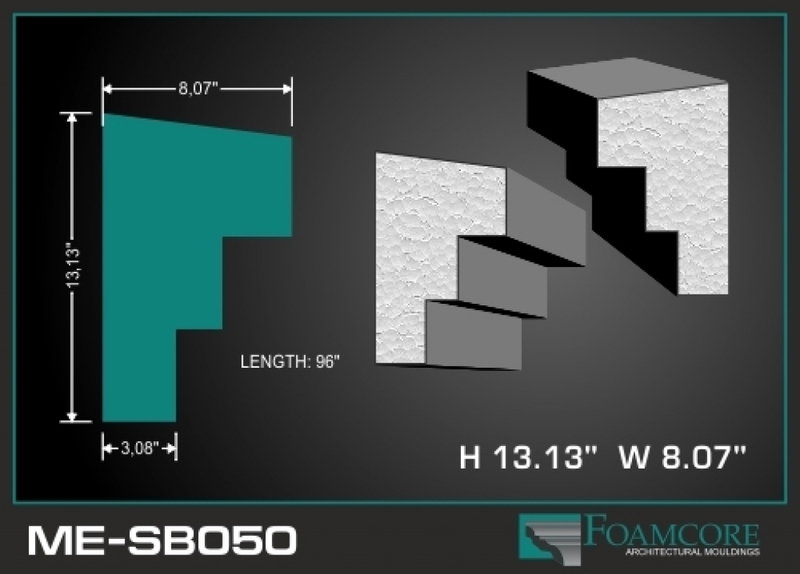 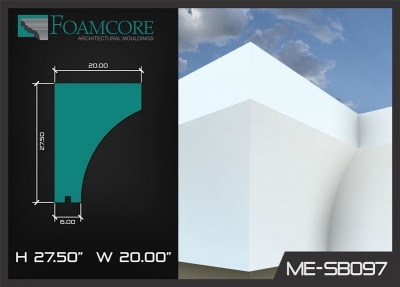 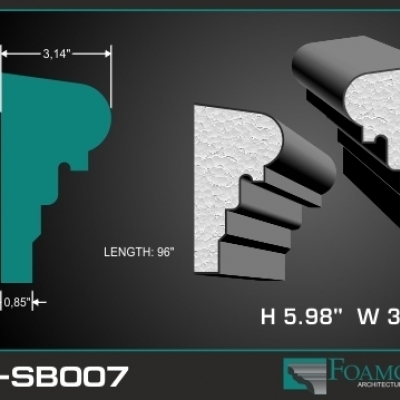 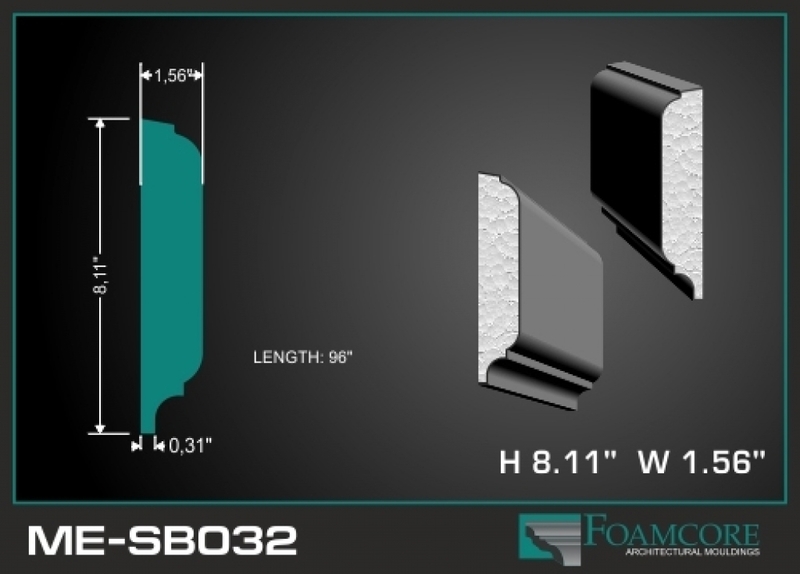 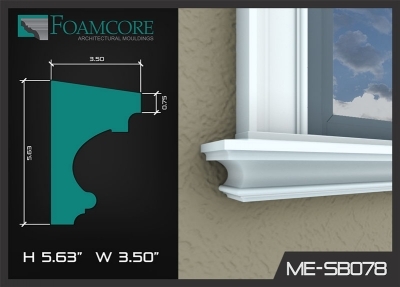 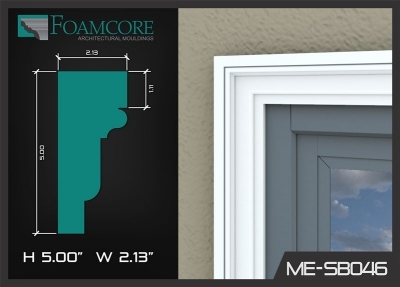 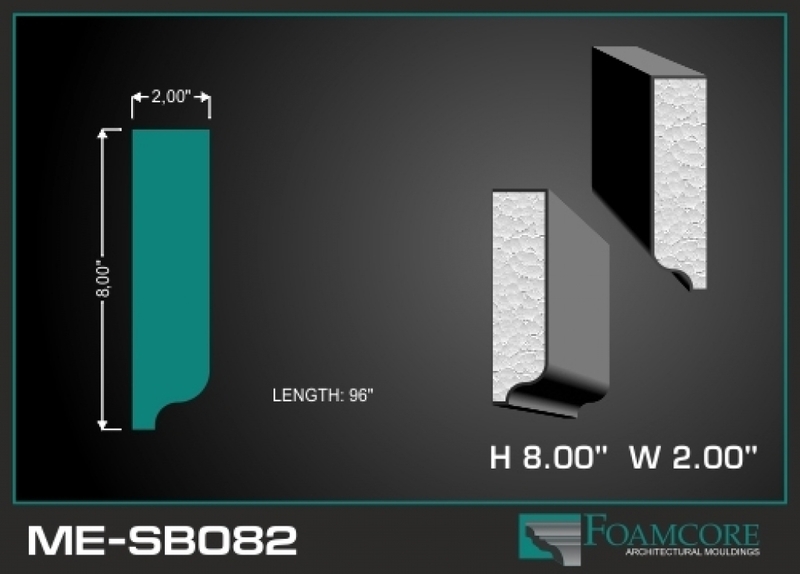 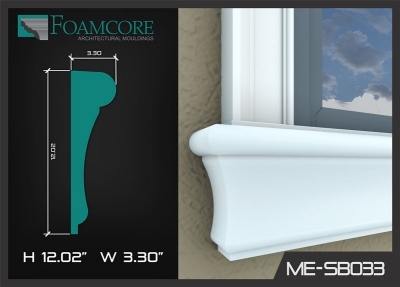 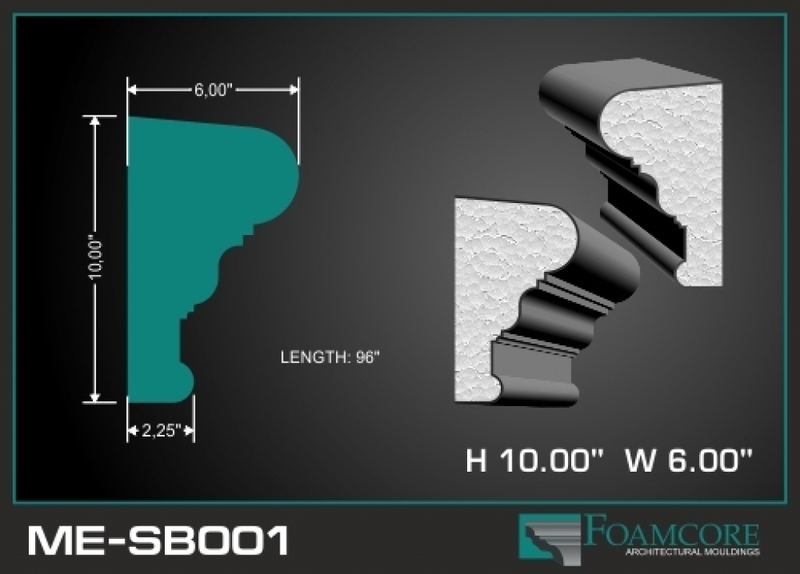 Foamcore in Niagara Falls specializes in stucco sills and bands for your home or business exterior renovation project. 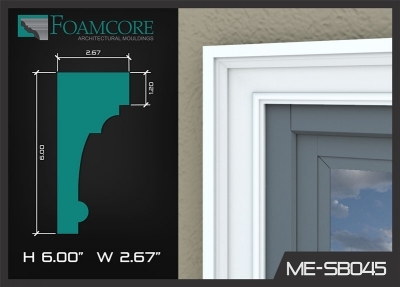 Whether you're a Contractor or a DIYer, you'll find exactly what you need. 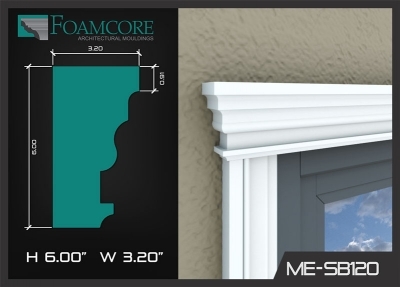 Search your product in our online store here. Not quite sure what you're looking for? 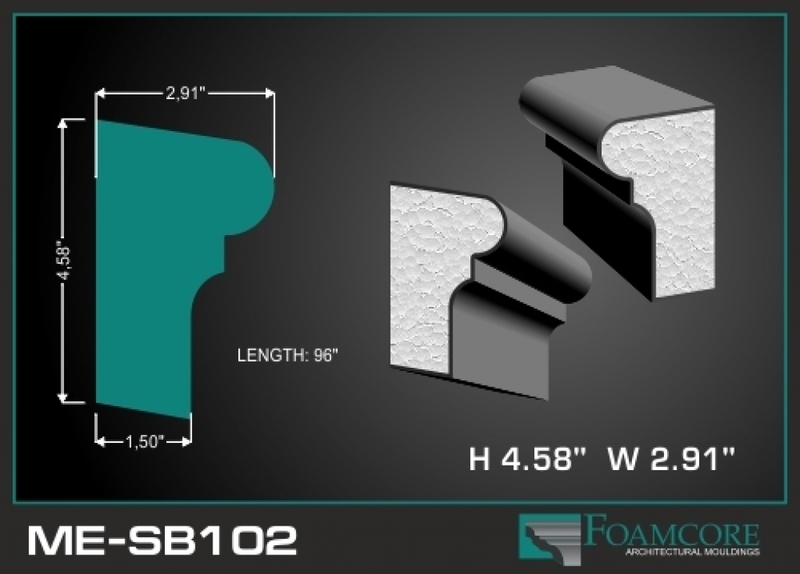 Try a few descriptions like "Exterior", "Sills" or the Product Number like "SB-001" and we'll give you a sense of what's available. Find the perfect sills and bands for your project in our gallery below. 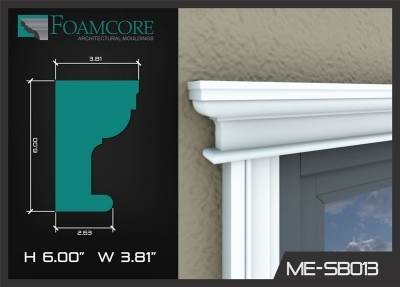 Bands are decorative mouldings that are fixed around doors, windows, and other thresholds to add a beautiful and customized finishing touch. 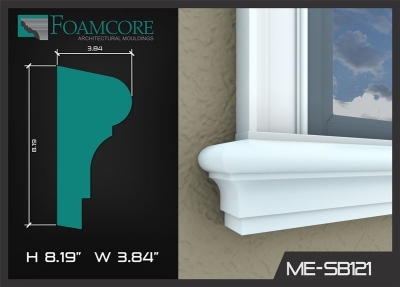 Sills are functional in that they hold the pieces of your window in place, but that doesn't mean they can't add beauty and style to your home. 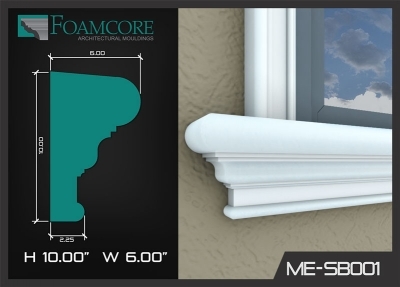 Upgrade your windows with stunning sills in a unique style that suits your home. 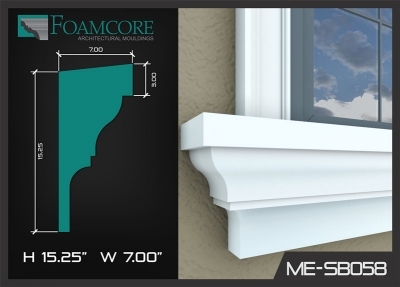 We have a wide selection of stucco sills and bands, in styles ranging from the highly detailed and ornate, to the pared down and minimal. 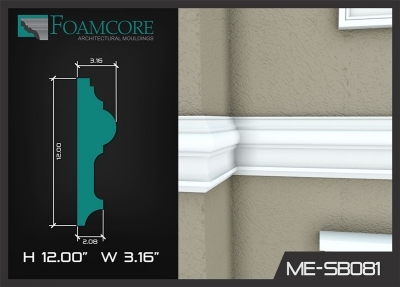 Visit our project gallery and see how great our stucco mouldings will look in your project. 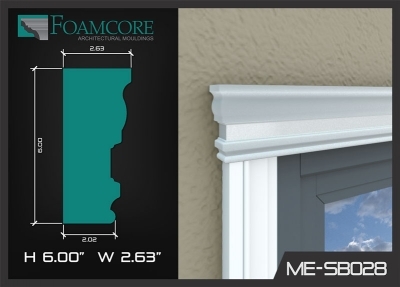 Our standard stucco moulding products can be ordered online! Others may take 2-3 weeks, we can turn around your design in 2-3 days!